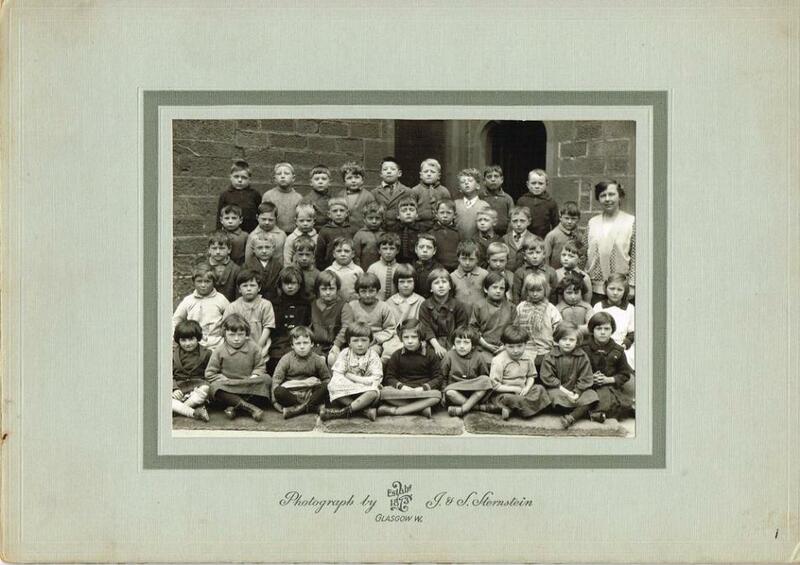 Photographic images are posted on our site, in chronological order* and with at least 90% of the pupils/staff named. * Apropos the dating ascribed to the photos , for simplicity we have used the 2nd half of the school year. e.g. 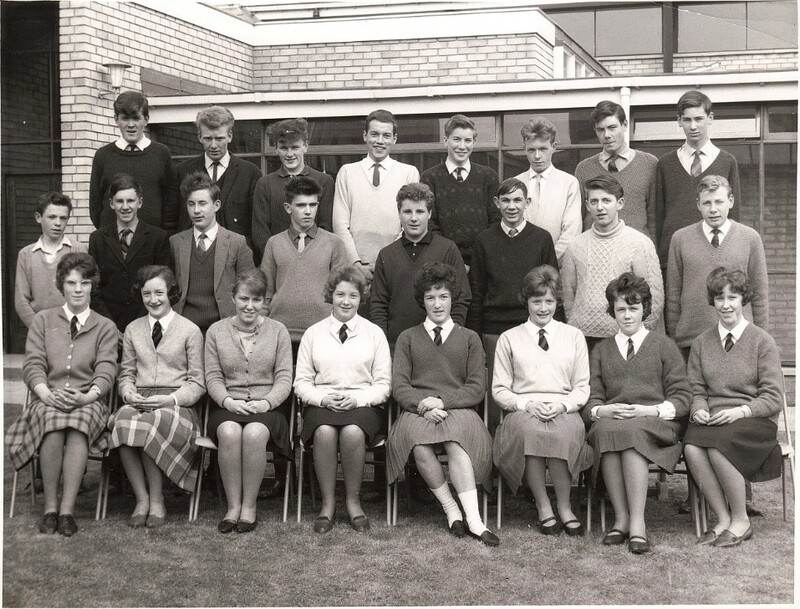 a class photograph of year 1960/61 would be dated 1961- when in effect they could have been taken any time from September 1960. Top: Paddy Mill (Headmaster), Peter Aitchison, Jimmy Thomson, Bobby Stewart, Sandy Amos, Will Shiels, Johnny Preston and Willie Archibold. 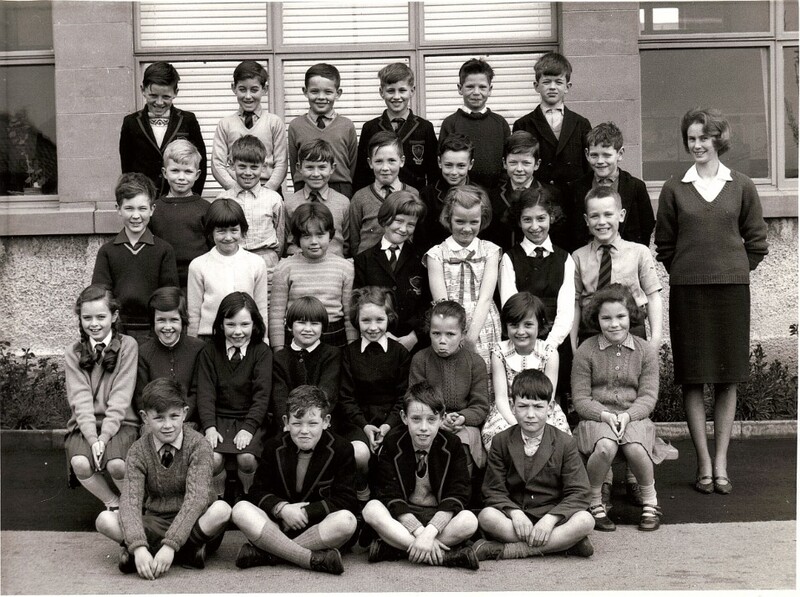 Upper Middle: Nancy Lindsay, Ian Grant, Bobby Glasgow, Jackie McAll, Dave Aitchison. Billy O'Brian, Peter McCawley, ---- ----- and Mary Dores. 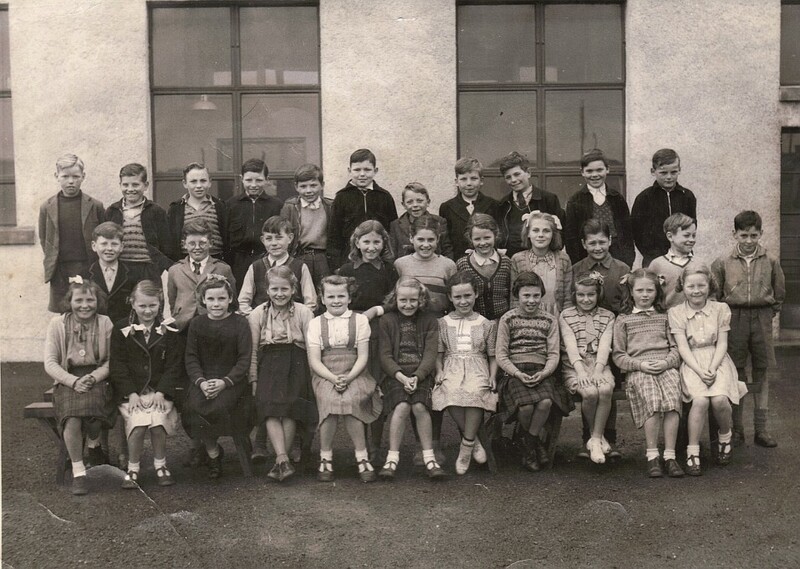 Middle: Effie Thorburn, Jean Scott, Nora McCawley, Margaret McMaster, Jenny Bell, Violet Dores, Jean Archibald and Annie Gilhooly. 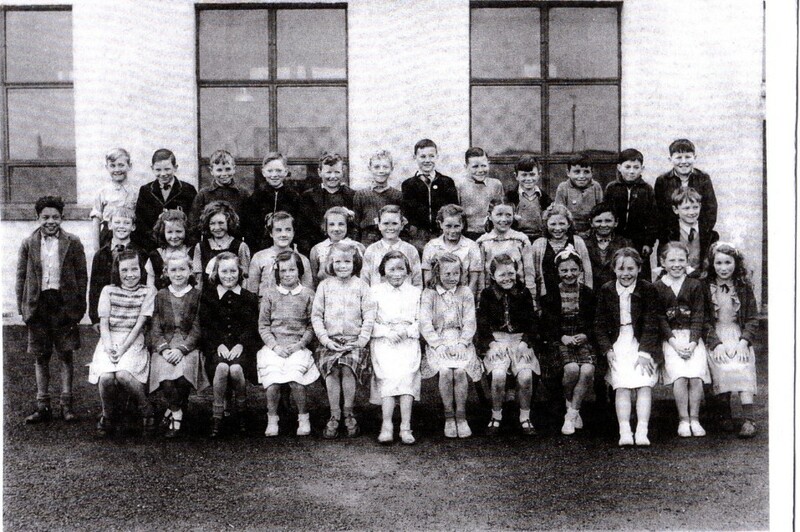 Bottom: Dorothy Sinclair, Margaret Cullen, Pat McAll, Margaret Bell, M. Cathie. Top: David Tear, Gordon Watson, Billy Thorburn, Denis Patterson and Tommy Ainslie. 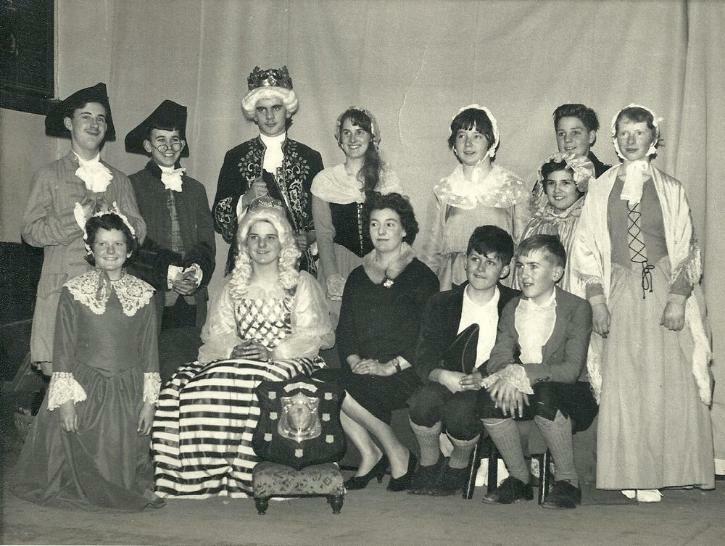 Middle: John McFarlane ('Dinky'), David Thorburn, Sandy Millar, Kathleen Croal, Sheila Glass, Eileen Tindle, Joan Patterson, Billy Roy and Reggie Gibson. 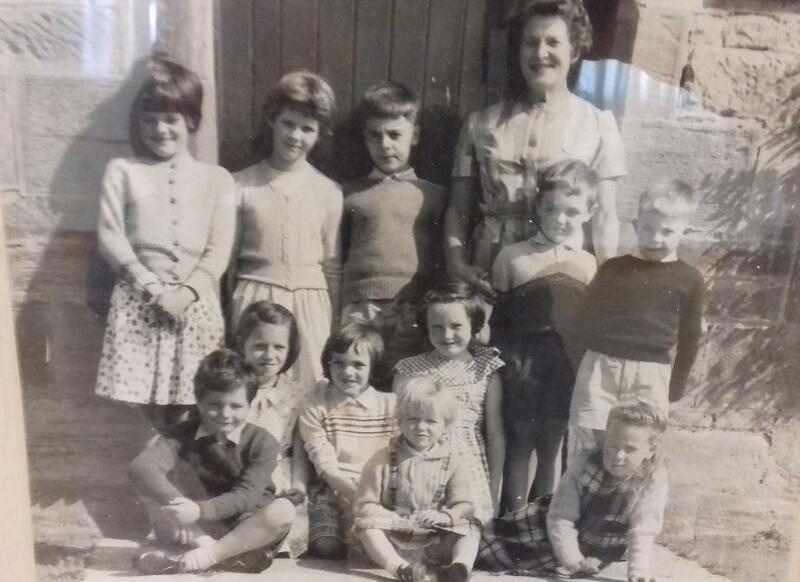 Bottom: Sheila Denholm, Margaret Foggo, Eileen Christison, Dorothy Watson, Joan Denholm and ---- Welch. 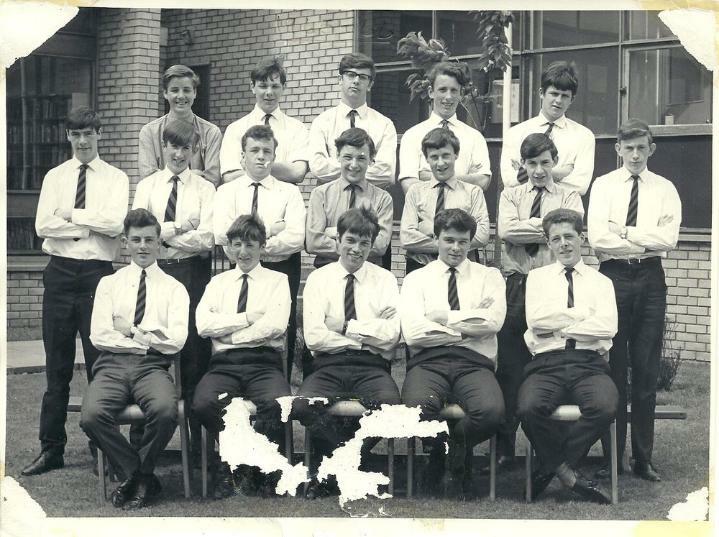 Top: Donald McFarlane, David Brunton, Denis Patterson, Ronnie Preston, John McFarlane, David Tear, Reggie Gibson, Ian Brown and John Todd ('Jock'). 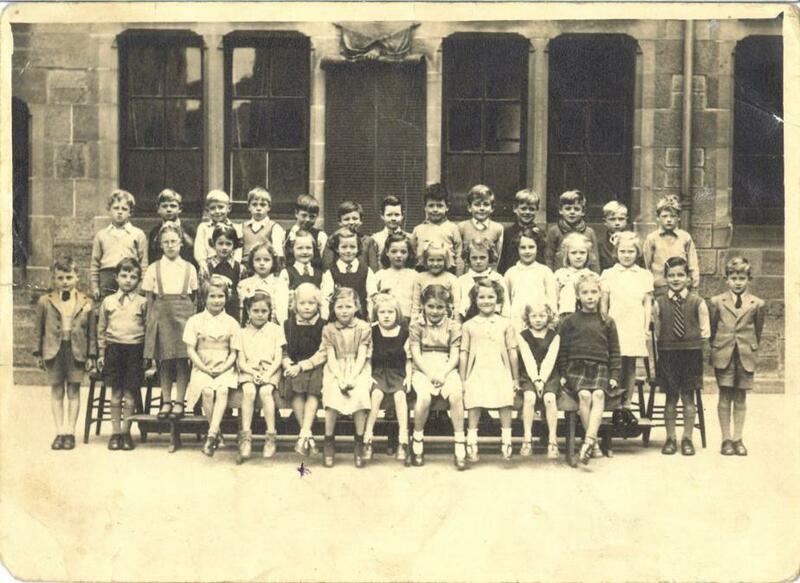 Middle: Nancy Gutenswager, Isobel Sutherland, Dorothy Heggie, Joan Denholm, Irene Walker, Eileen Tindle, Margaret Foggo, Sheena Peitch, Jeanette Robinson*, Sheila Glass and Margaret Brodie. Bottom: Margaret Patterson, Elizabeth Tear, Irene Stewart, Dorothy Watson, Ann Denholm and ---- Dixon. Top: Leo McFarlane, Peter Gutenswager, Edward Manderson, John Cunningham, Alistair Tear?, John Gilmour, Philip Bailey, ---- -----, Ronnie/George Preston, Andrew Watt , ---- -----, Kenneth Ness and Billy Pearson. 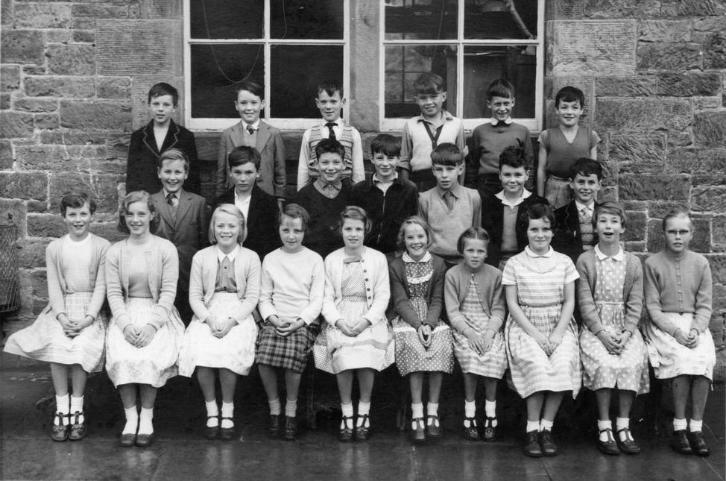 Middle: George Patterson, Andrew Ritchie, Elizabeth Angus, Isobel Preston, ---- -----, Eileen Porteous, Maureen Foggo, Jennifer Higgins?, Olive Brodie, George Pearson and Jim Todd. 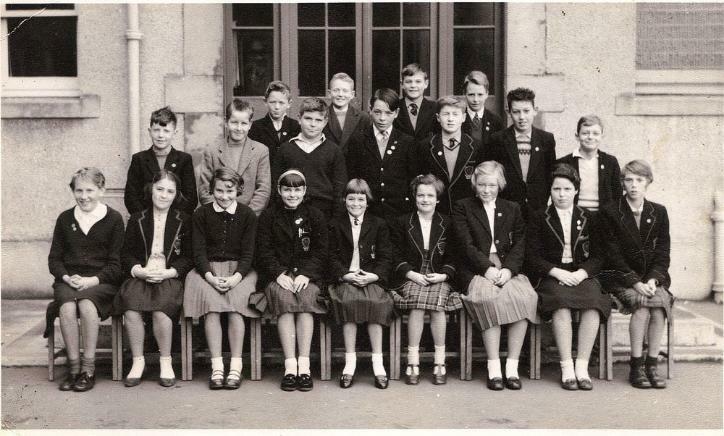 Bottom: Fiona Ritchie, Eileen Gutch, Muriel Higgins, ---- -----, Dorothy Heggie and Ingrid Peitch. Top: Ian Brown, John Gilmour, Donald McFarland, ---- ------ and ---- -----. 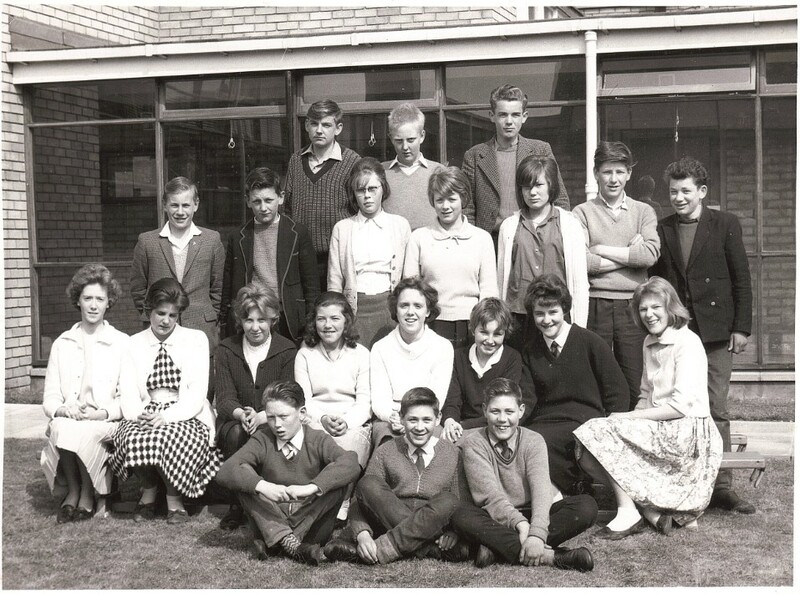 Upper Middle: Ann Denholm, Eileen Porteous, Christine Houliston, Betty McMillan, Nancy Gutenswager, Elspeth Catleugh, Maureen Foggo, Elizabeth Tear and Nancy Watson. Middle: Helen Findlay, Ingrid Peitch, Isobel Preston, Elizabeth Angus and Margaret Patterson. Top: Tom Tait, Alan Porteous, John Watson, David Thorburn, Tommy Foggo, Brian Houlison and Willy Gutenswager. 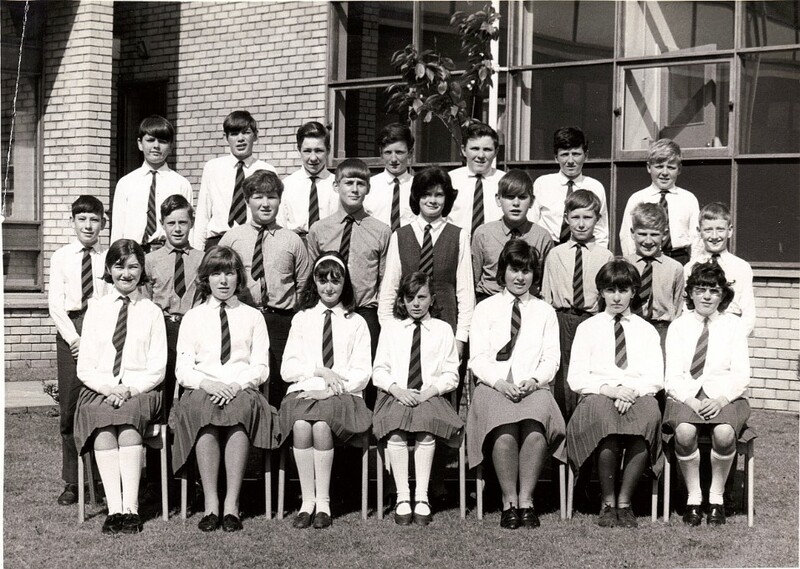 Middle: Steven MacKinnon, Marian Higgins, Brian McMillan, Ann Porteous, Fiona Ritchie, Christine Thompson, Helen Pearson, Cecilia Lugton, Joan Denholm, Tom Thorburn and Hamish Thorburn. Top: David Thorburn, Leo McFarlane, Philip Bailey, Peter Gutenswager, George Pearson and Jim Todd. Upper Middle: Mabel Brodie, Irene Litherland, Olive Brodie, Marion Higgins, Marie Peitsch and Margaret Marshall. Middle: Christine Thompson, Ann Porteous, Muriel Higgins, Cecilia Lugton, Helen Pearson and Ann Litherland. Bottom: Willie Gutenswager, Tommy Foggo, ---- -----, Geoffrey Ness and George Patterson. Top: George Patterson, Brian Houliston, Alan Porteous, Jack Beattie, Geoffrey Ness and Willie Gutenswager. Middle: John Watson, David Thorburn, George Pierson, Peter Gutenschwager, Mark Beattie, ---- ----- and Tommy Foggo. 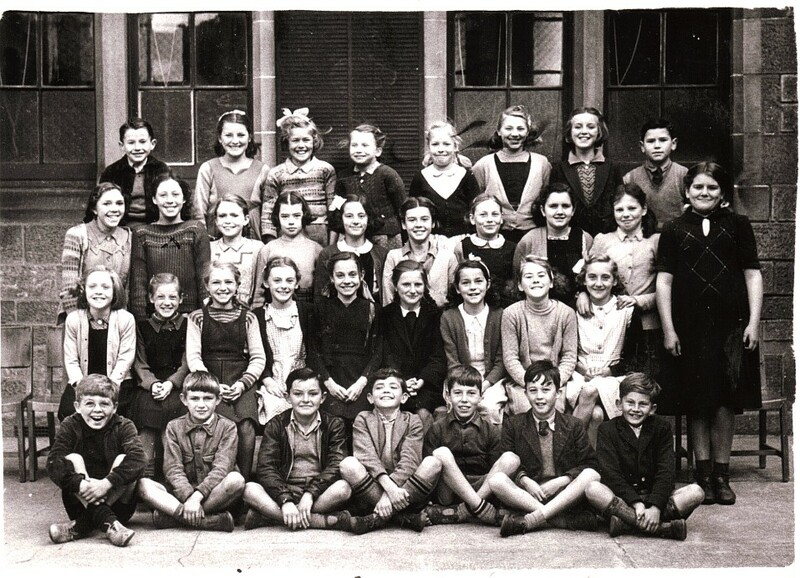 Bottom: Muriel Higgins, Marie Peitch, Margaret Marshall, Cecelia Lugton, Mabel Brodie, Anne Porteous, Ann Litherland, Christine Thomson, Helen Pierson and Irene Litherland. 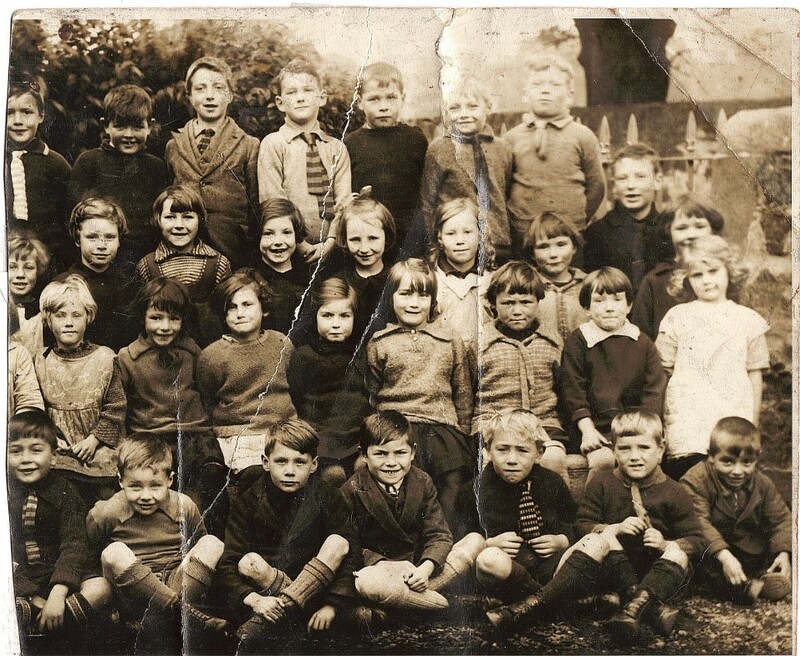 Back Row: Ernie Armstrong, Jimmy Bell, Frances Newman. 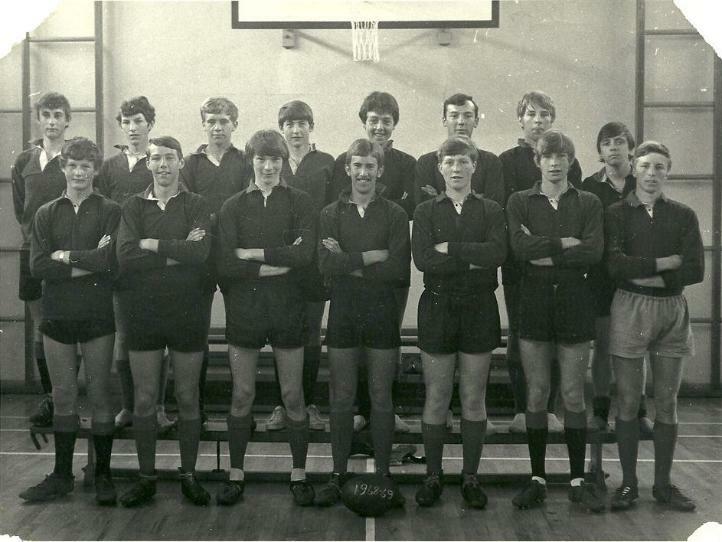 Middle Row: Ian Christison, Kit Newman, Hamish Tulloch. 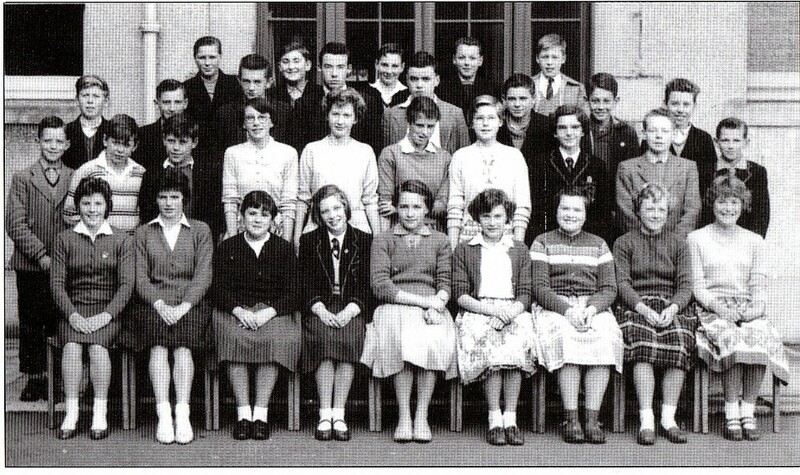 Bottom Row: Drew Cowan, Margaret McDonald, Allan Cowan, Elizabeth Davidson. Top Row: Stuart Kinghorn, Kit Newman, Paul Shiebe, Hamish Tulloch, Ernie Armstrong, Ian Christison. 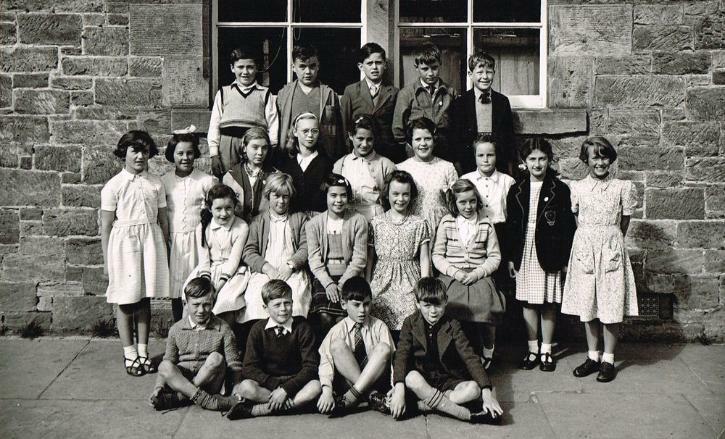 Middle Row: Frances Newman, Linda MacDonald, Elizabeth Wilkinson, Rosemary Tulloch, Mary MacDonald, Margaret MacDonald. 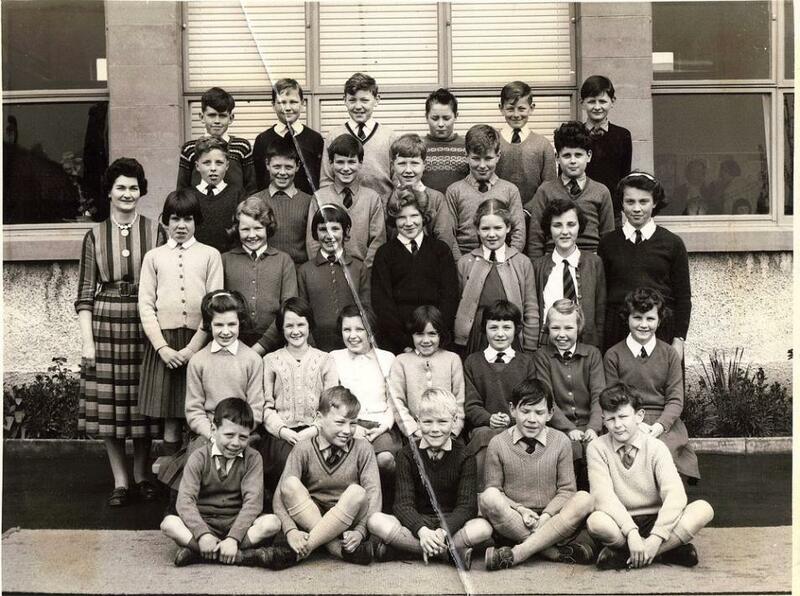 Bottom Row: Drew Cowan, Susan Barker, Mrs Helen "Teacher" Thompson, Margaret Lunn, Allan Cowan. 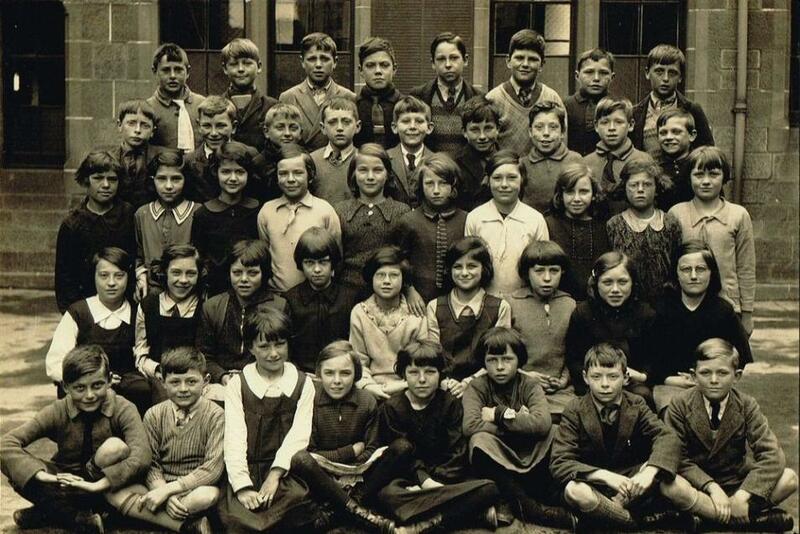 Back Row: Sheila Ainslie, Caroline Barker, Alex (George) Ainslie. 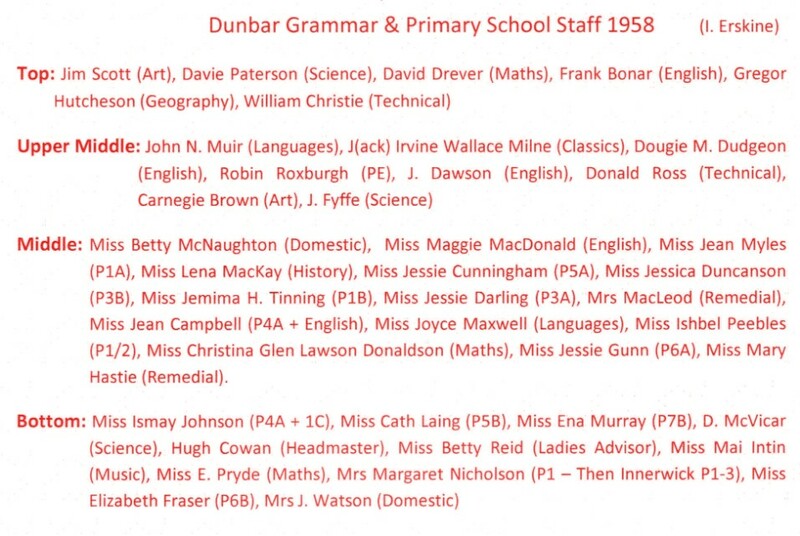 Mrs Helen "Teacher" Thomson, John McGregor. 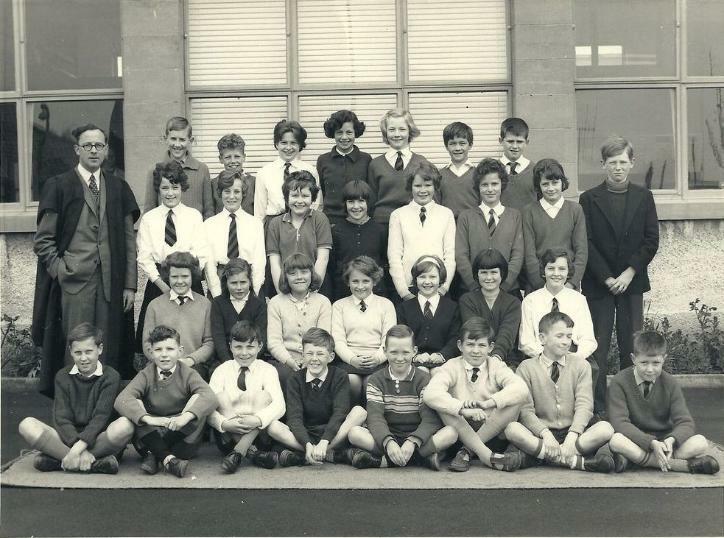 Middle Row: Margaret McDonald, Fiona McGregor, Georgina McCue, Brian Ainslie. Front Row: Andrew McDonald, Cynthia Williamson, Phyllis Williamson. 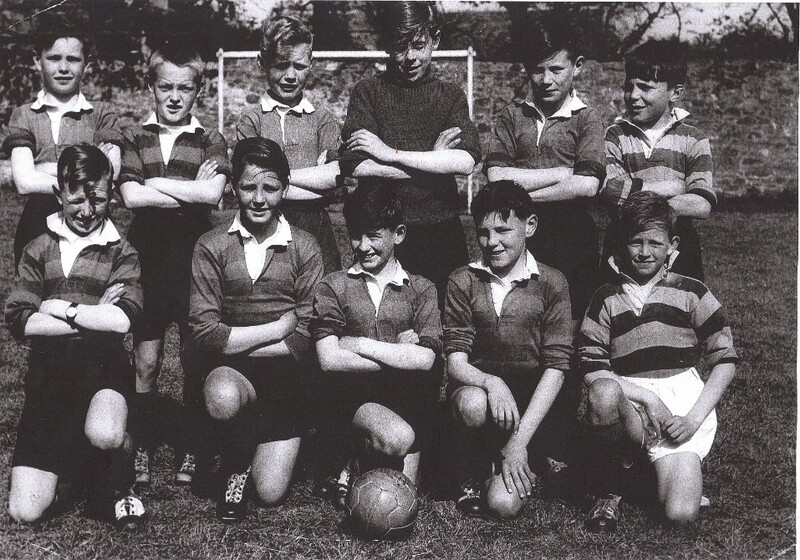 Back: ---- ----, Jimmy Bell, Stuart Middlemas, Stewart Saunders, Philip Bell, Peter Cockburn, Ian Cockburn, Michael Robertson, John Thompson. 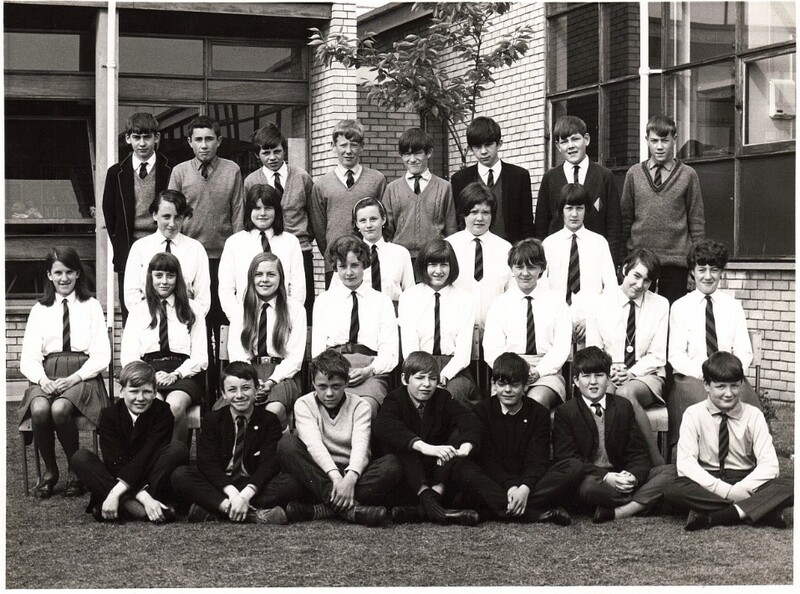 Middle: David Bain, Kenny Middlemas, Alastair Sives, George Cowan, Eileen Turnbull, ---- ----, Margaret Stewart, Joan Grant, Willie Bell, Drew Ritchie, Billy Allen. 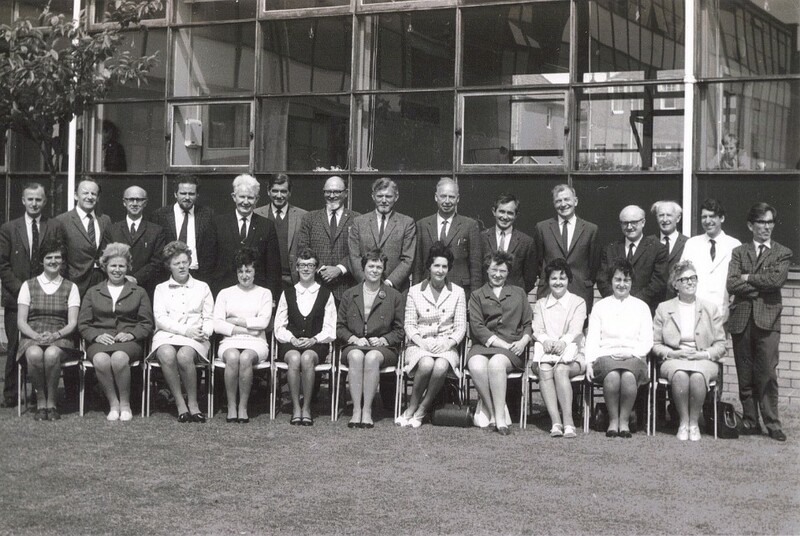 Front: Betty Blair, Giles Thompson, ---- ----, Margaret Tear, Alistair Sives, Margaret Black, John Blair, Marshall Allan, Gavin Strang. 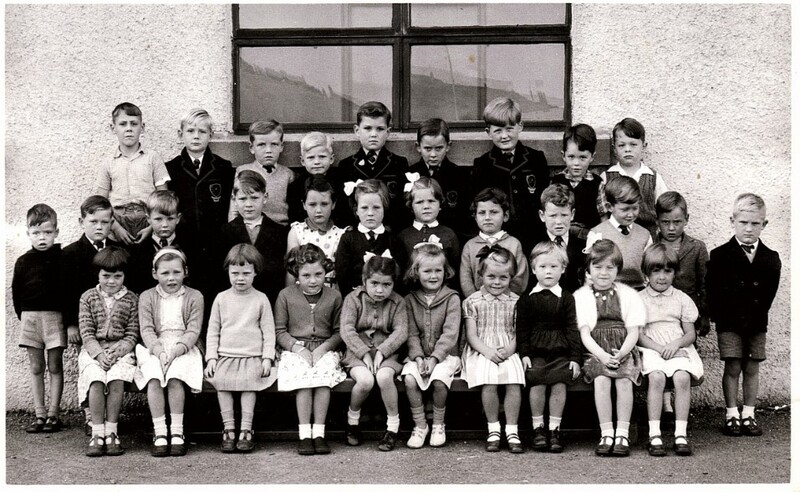 * Colin Stark is the fifth pupil from the left on the top row. Top: George Simpson, ---- -----, ---- -----, ---- -----, Jackie Smail, ---- -----, John McNie, ---- ----- and ---- -----. Upper Middle: Robbie Smith, ---- -----, ---- -----, ---- -----, ---- -----, ---- -----, Jimmy Lally, ---- -----, Jackie Purves and James Burgoyne. Middle: ---- -----, ---- -----, ---- -----, ---- -----, Andrew Gray, Willie Dixon, ---- -----, ---- -----, Billy Hutchison and Arthur Horsburgh. Lower Middle: ---- Thompson, May Heinz, Jessie Stenhouse, ---- -----, Cathy Branch, Anabel Macauley, ---- -----, Gwen Day, ---- -----, Peggy Combe and Nancy Scott. Top: Willie Dixon, Roland Craig, Jackie Purves, Albert Liddle, Jimmy Lally, Tom Smith, Walter Lough, ---- ----- and George Brunton. 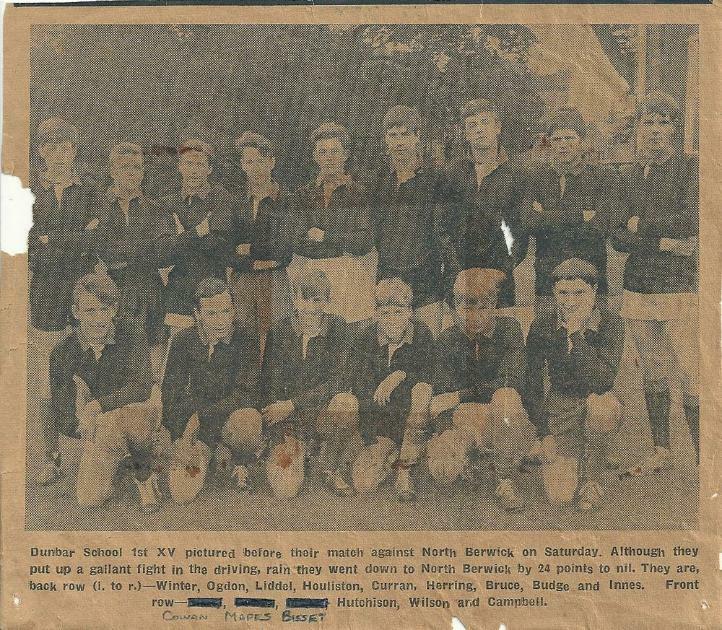 Lower Top: Hugh White, Peter White, Melville Smith, Billy Hutchison, Albert Smail, Robbie Smith, Sandy Brown, Laurence McIntyre, ---- ----- and George Wood. 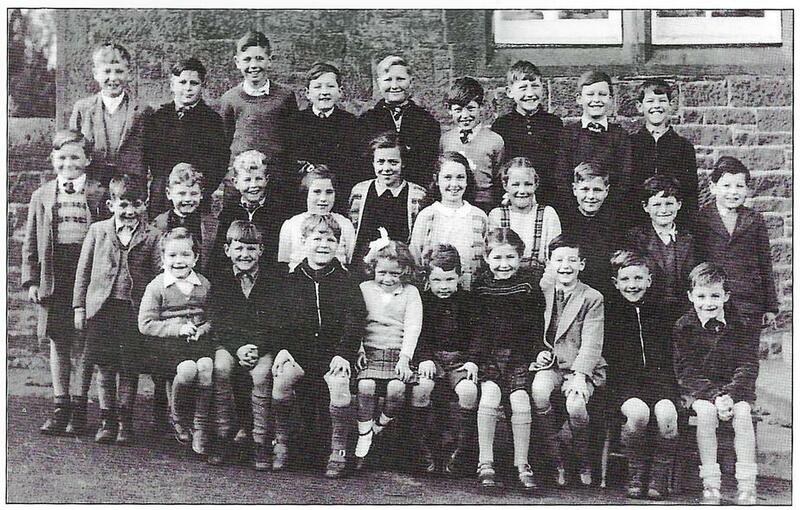 Upper Middle: Arthur Horsburgh, ---- -----, Betty Cunningham, Bruce Strachan, Johnny Darling and Alec Smith. 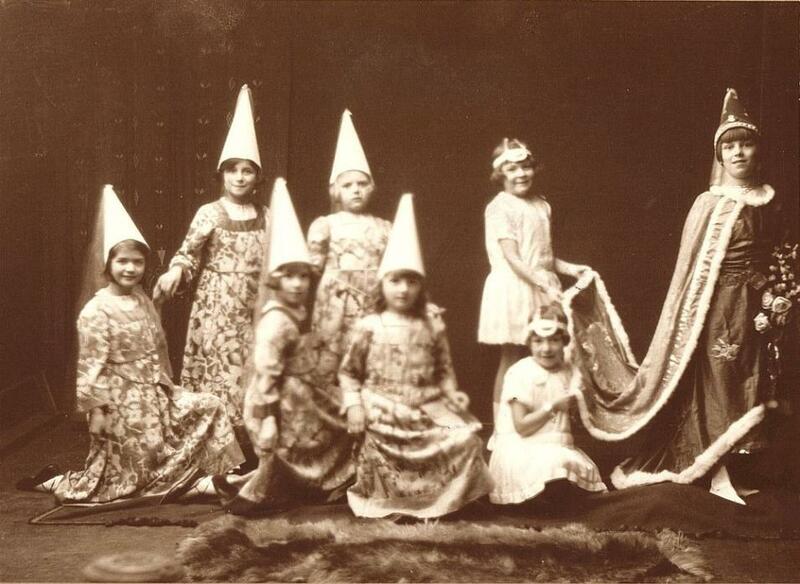 Middle: Grace Young, Rachel Robson, ---- -----, Laura Togneri, Lia Togneri, Betty Vassie, Winnie Hanton and Peggy Durie. Lower Middle: Emily Wood, ---- -----, Isabella McKenzie, Katie Main, Caroline Winfield, Nellie Burgoyne, Jean Vassie and Isabella Herkes. 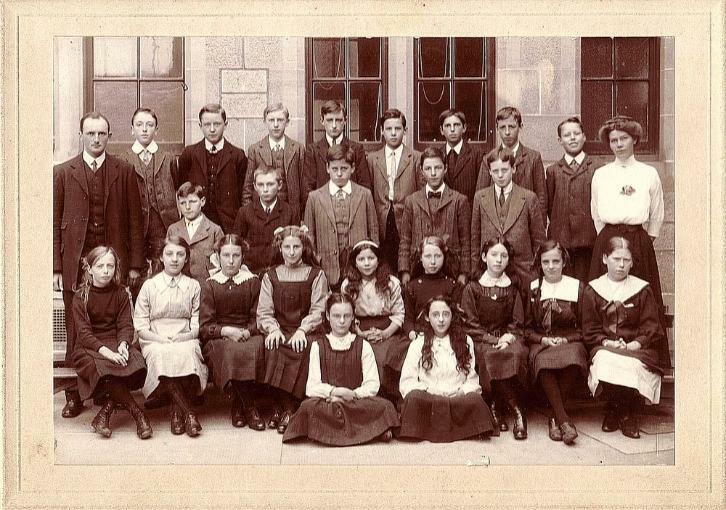 Bottom: May Punton, Lizzie Borthwick, Isa Brunton, ---- Main and Agnes Johnstone. Top: ---- -----, ---- -----, Alex Brown, Hugh Hutchison, ---- -----, Laurence McIntyre, George Brunton, Albert Liddle and ---- ----. 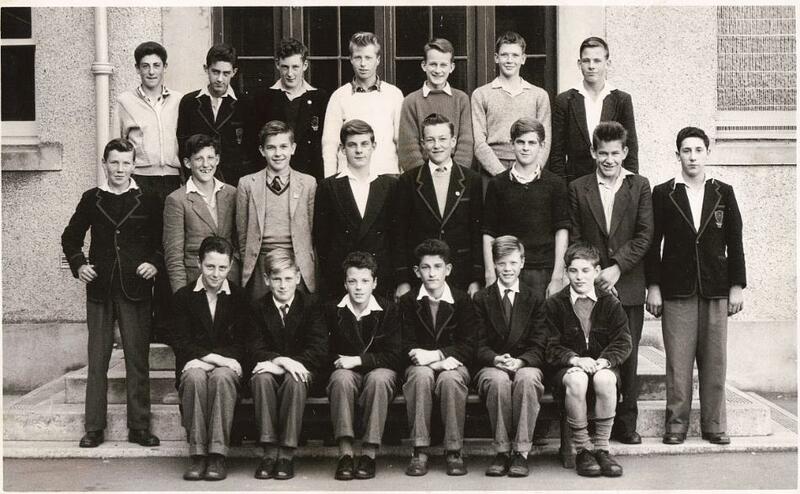 Upper Middle: Peter White, Billy Hutchison, Roland Craig, Jackie Purves, Ross Waddell, Johnny Darling, Will Dickson, Albert Lough and Alex Smith. Middle: May West, Laura Togneri, Peggy Dann, May Punton, Betty Cunningham (or Crawford? 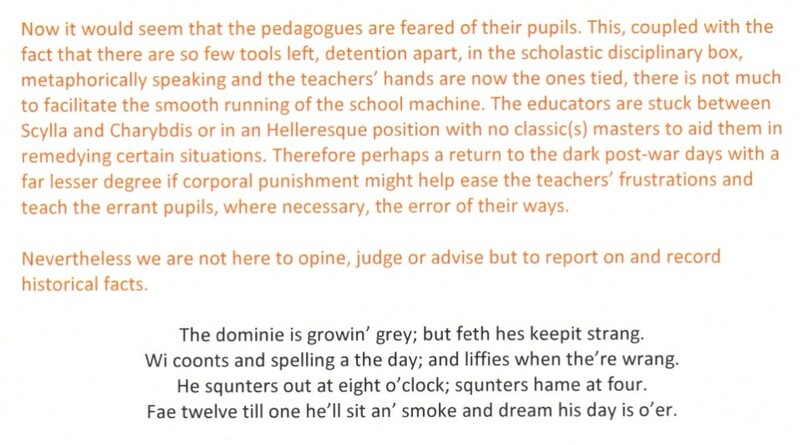 ), Isabelle McKenzie, Lizzy Borthwick, Katie Main and Peggy Smith. 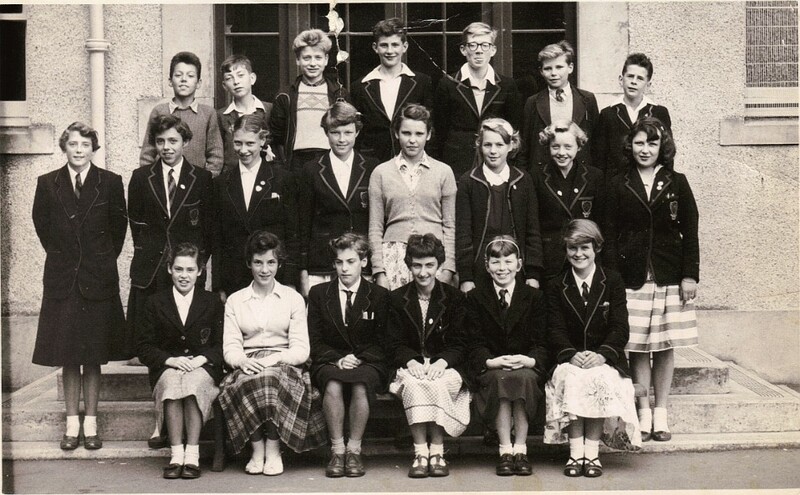 Lower Middle: Winnie Hanton, Elma Copland, Caroline Winfield, Annabel MacAuley, Rachel Robson, Lia Togneri, Gwen Tong, Doreen Walker and Betty Vassie. 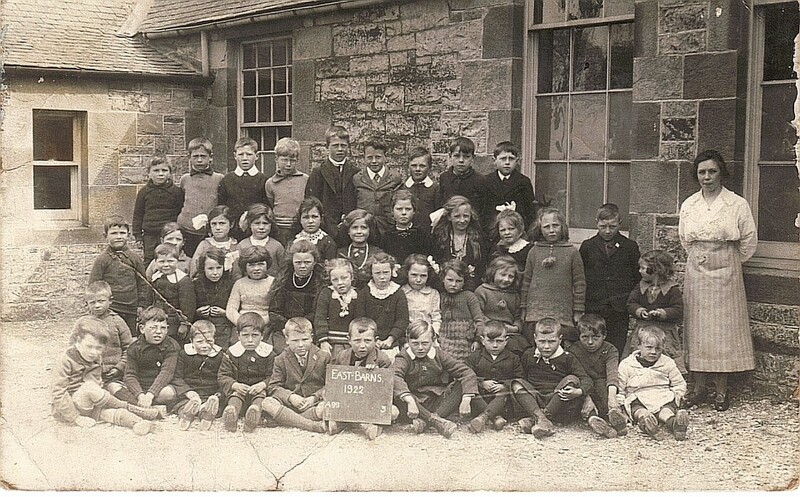 Bottom: Jimmy Lally, Arthur Horsburgh, Isabelle Brunton, Isabelle -----?, ---- Main, Agnes Johnstone, Hugh White and Melville Smith. Top: Lia Togneri, Cathy Bryden and Netta Gentles. Bottom: Peggy Durie, Laura Togneri, Ella Bowden and Jean Nimmo. And School Queen Annabel MacAulay. Top: Ross Waddell, Peter Fiskin, Jack Storie, ---- ----- and Peter Brotherstone. 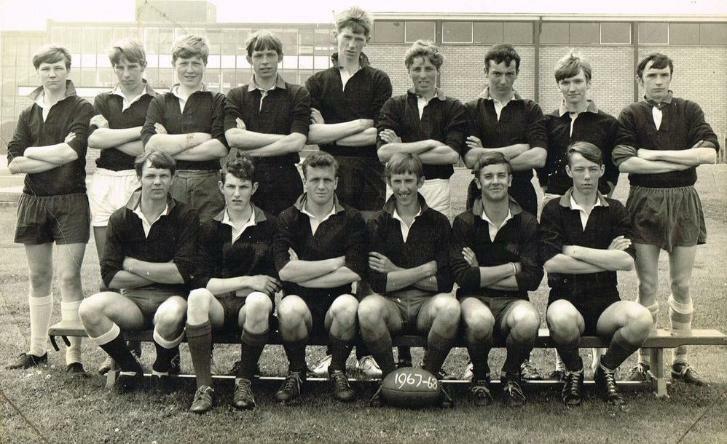 Upper Middle: John Laing, Ian McKenzie, Jim Edgar, Alex Foggo, Graham Budge and Willy Murphy. Middle: Rachel Robson, Lia Togneri, Annabel MacAuley, Helen Barnet, ---- -----, Peggy Smith and Betty MacDonald. Bottom: Peggy Durie and Laura Togneri. Top: Vicky Valler, Stuart Middlemas(? 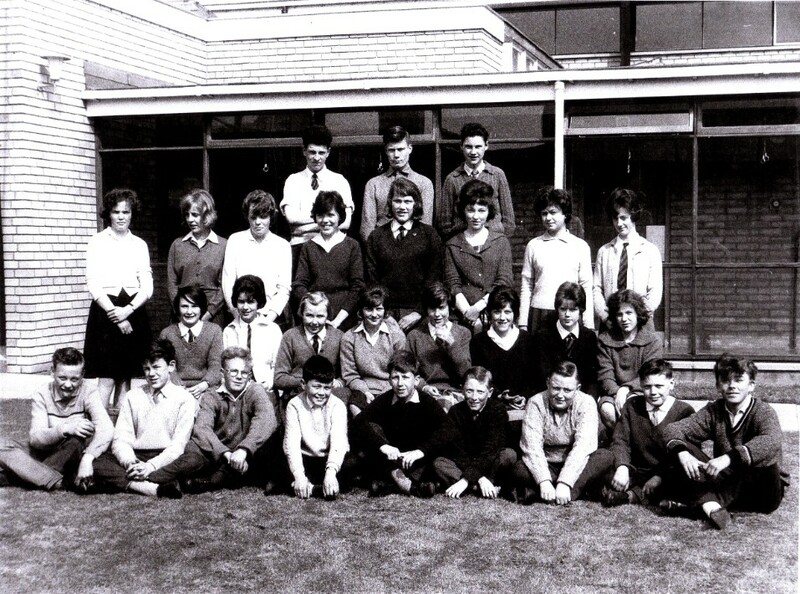 ), Robin Mellors, Frew Robertson, Tony Clements, Joseph Cockburn, Sandy Cowe, Andrew Huntly, Billy Jarvis, Lindsay Graham, Bertie Lorimer, Alan Cockburn, Tommy Lough. 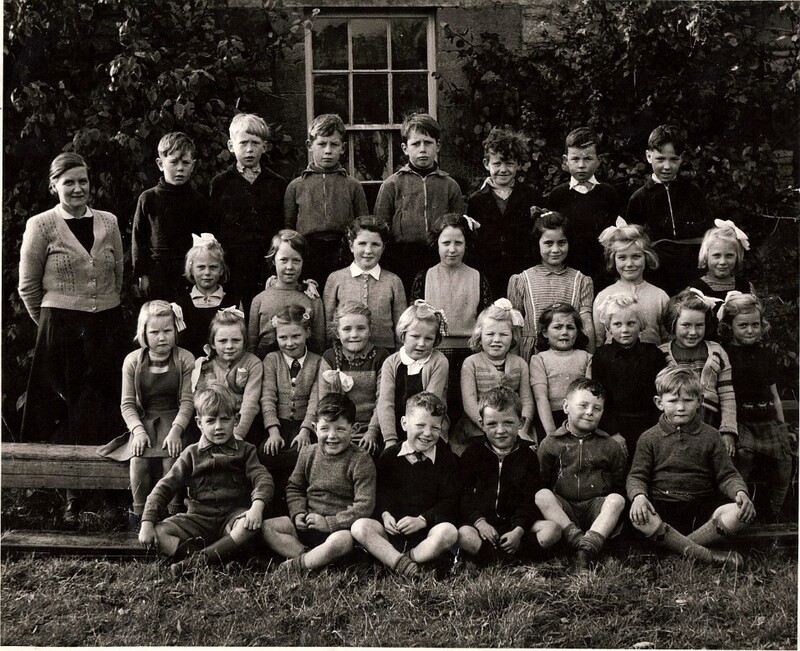 Middle: ---- ----, Ian Robertson, Drina Smith, Kathleen O'Donnell, Elizabeth Ramage, Doreen ----, Diane moody, Roberta Pearson, 'Mina Pince, Isabella Gullen, Sandra Mabberley, Mary Johnstone, Moira Helm, Jim McCall, Douglas MacVicar. 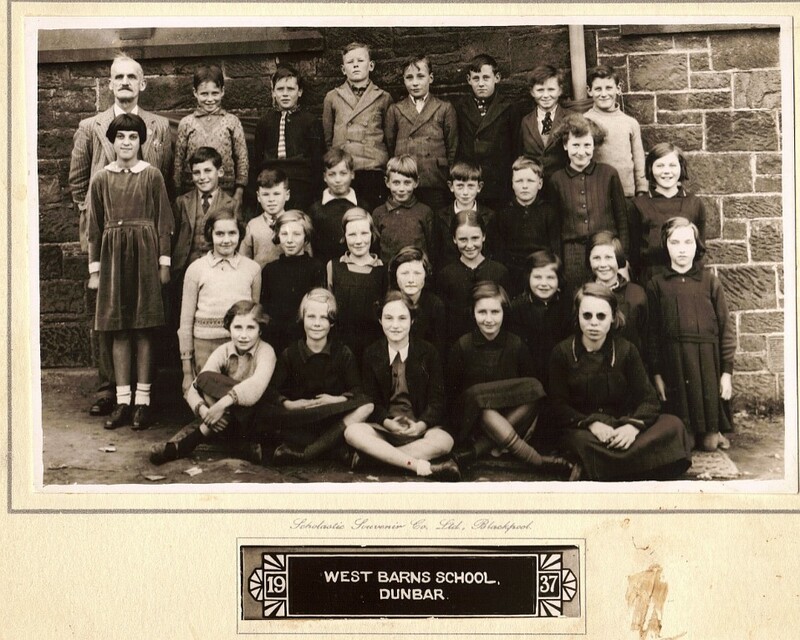 Bottom: Margo Gardener, Isobel Grahame, Eleanor Burgoyne, Catherine M. Craig, Elma Cairns, Valerie Brown, Morag Bald, Annie Lough, Ruth Lorimer. 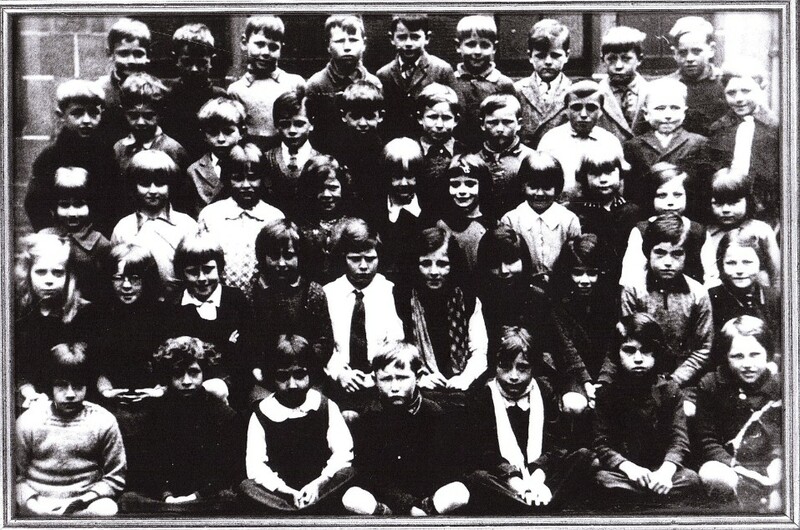 Next to Ross Blakemore In the middle row is George Williamson. 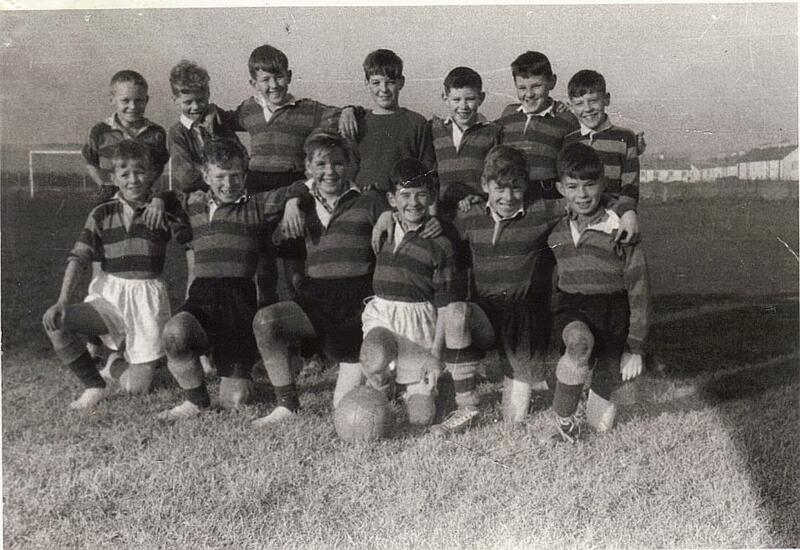 Top: Gerald Wilson, Willy Blair, Billy Skene, Tommy Smith, Alister Rennie, Paul Corrieri, Colin Knox and Stuart Mulroy. 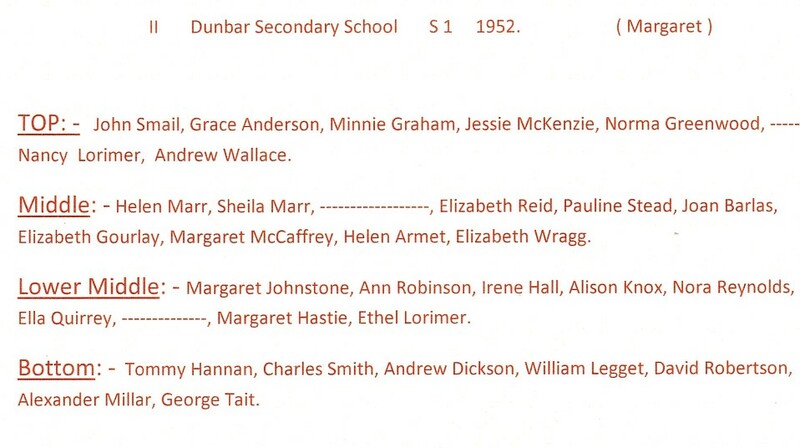 Bottom: Muriel Higginbottom, Maureen Yorston, Fay Millar, Helen McKenzie, Alison Wallace, Evelyn Dores, Margaret Foggo and Ann Leckie. 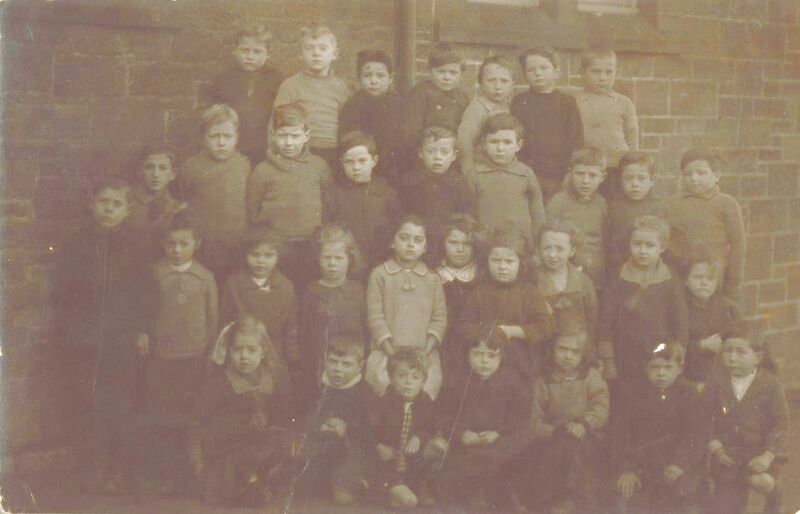 Top: G. Barson, M Amos, A Brunton, R Hendrie, M Campbell, A Thomson, L Horsburgh, R Pass and H Pass. 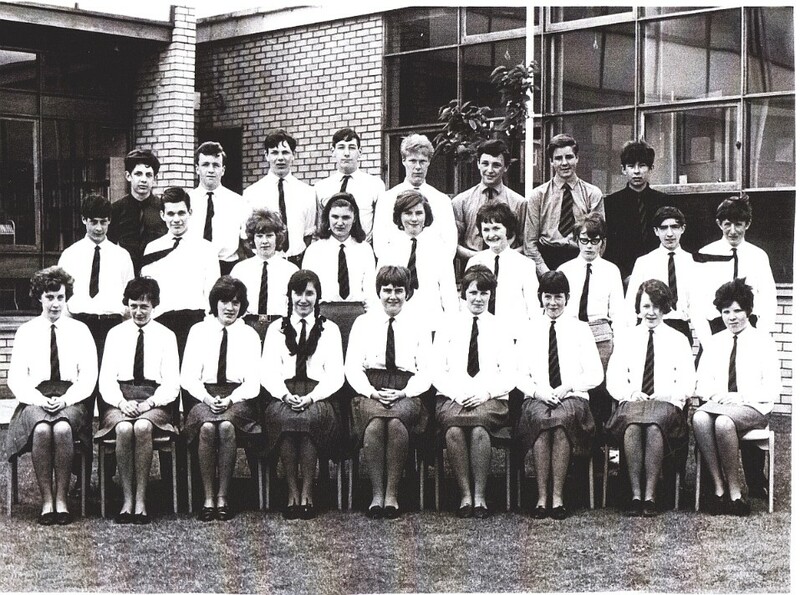 Middle: D Hay, G Smith, T Kay, W Tevendale, P Shanley, C Buglass, E Grieve, H Blanchard, B Peat, D White, D Swan and A Laing. Top: Stewart Graham, Alan Johnstone, John Willens, Orland Sammels, Peter Nicol, Robert Brunton, Jim Easingwood, Robert Darling and Stewart Bonnar. 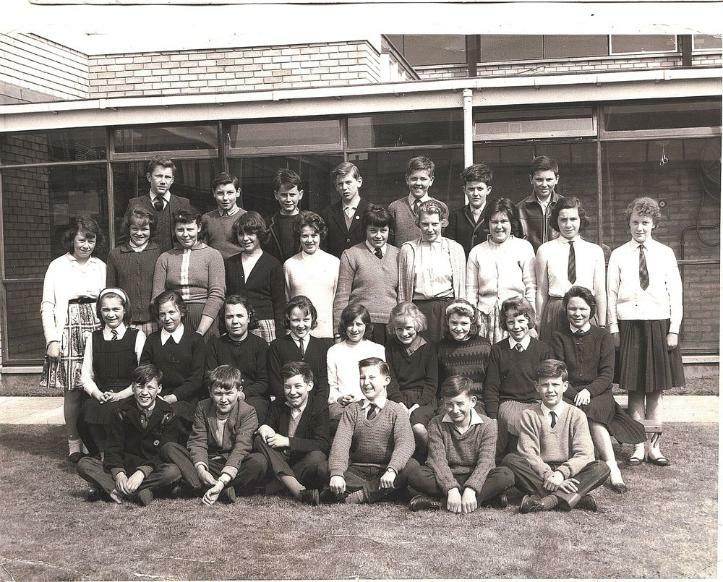 Middle: Marion Kerr, Ruth Blair, Marie Young, Jimmy Brunton, Robin Dixon, John Hutchison, Jackie Smith, Billy Wilson, Sheila MacNamara and Davina Lorimer. 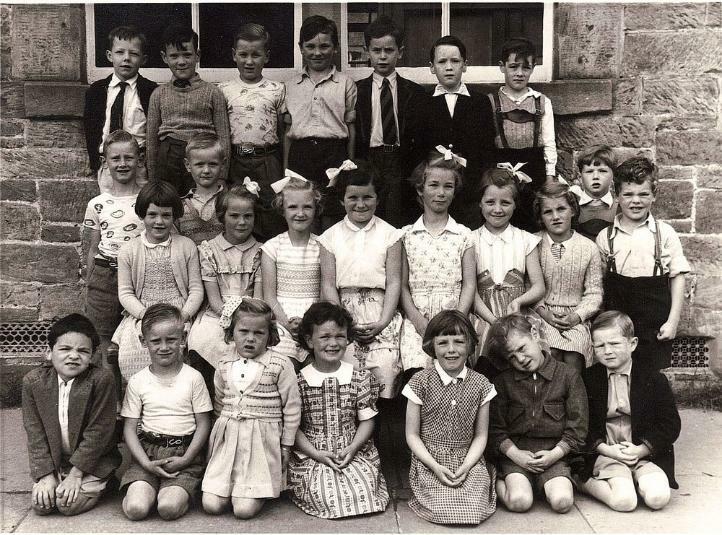 Bottom: Christine McCale, Maureen Lorimer, Grace Paylor, Moira Sayer, Jaci Waite, Avril Johnstone, Christine Gaffney, Marlene Hampshire, Irene Hannan and Monica Carver. Top: Ronnie Smith, David Tear, John Bathgate, David Spence, Graham Cunningham, Robin Wilkie and Ivy Hill. Bottom: Dougie Faulds, George Laing, Colin Kennedy, Gerald Wilson, Dennis Paterson and Charlie Carruthers. 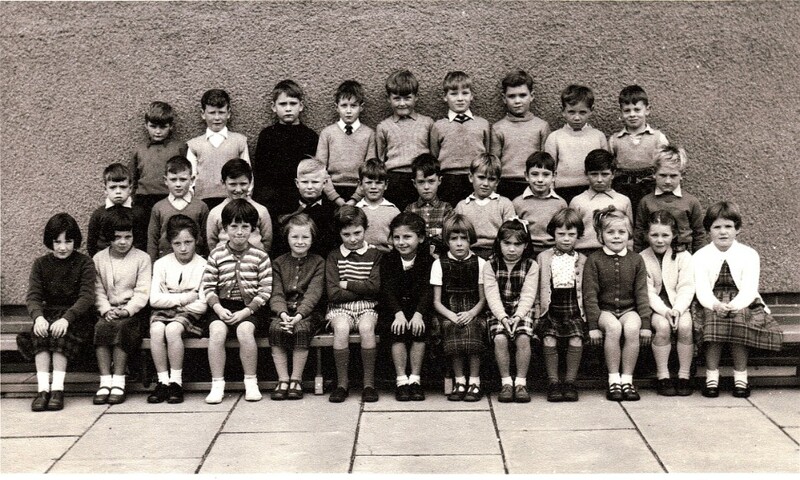 NB In the middle row No 4th in the row is David Gourdie. 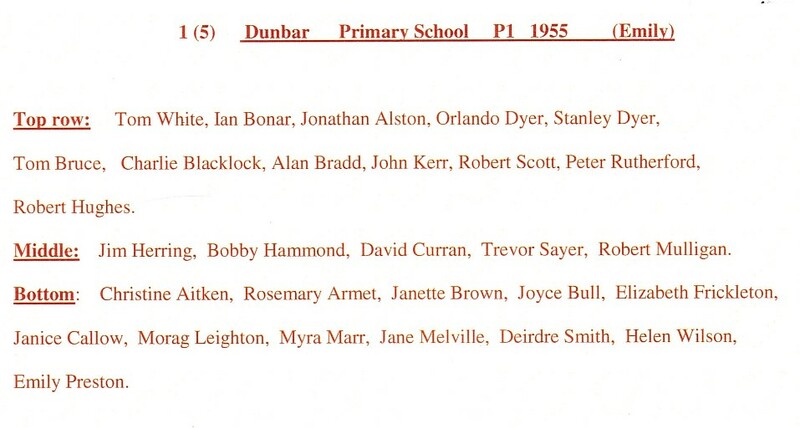 Errata:- Due to humorous elision/enjambement Lindsay name was changed to Shona Doyle when she was a teenager. Please note Donahue should be Donaghy. Top: Hugh Smith, Brian Peat, Ian Callow, Neil Wood, Lex Horsburgh, Willie Tevendale, Malcolm Campbell, ---- -----? and ----? Wakefield. Middle: David Hay, Gordon Smith, Derek Shrive, Robert Hendrie, Robert Thomson, ----? 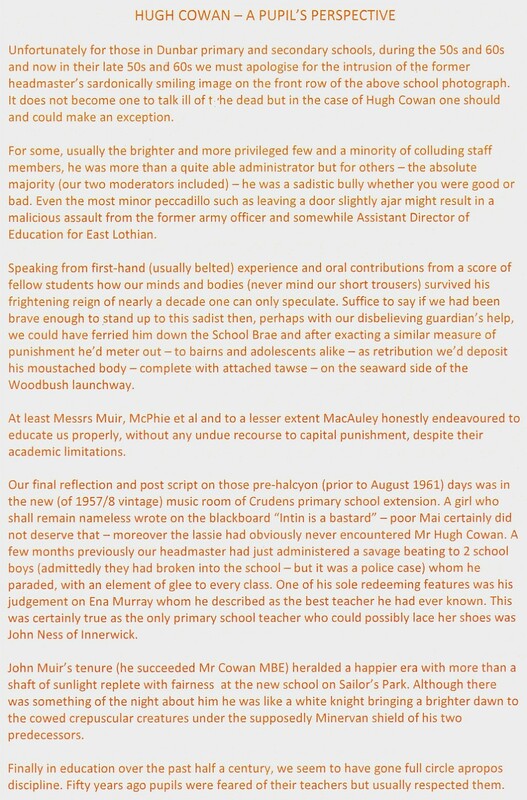 Wakefield, Andrew Thomson, George Thomson, William Shrive and Alistair Laing. 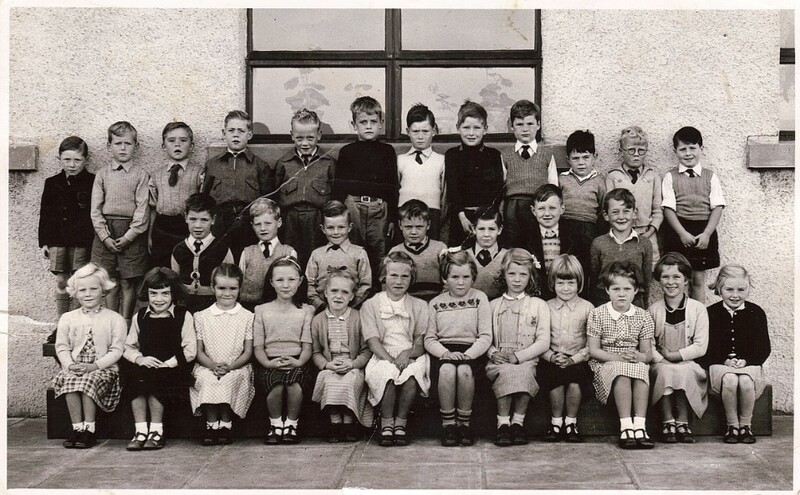 Bottom: Pat Shanley, Elizabeth Tait, ---- -----?, Christine Buglass, Ann Imrie, Jennifer Petrie, Helen Blanchard, Alison White, Mary Mulroy, Mary Neil, Elaine Black, Diana Seales and Elaine Grieve. Top: Keith McCandlish, Robert Brunton, Jimmy Thomson, Robin Aitken, Mike Fallon, Kenny Borthwick, D. Moffat, Brian Cooper and Dave Barbour. 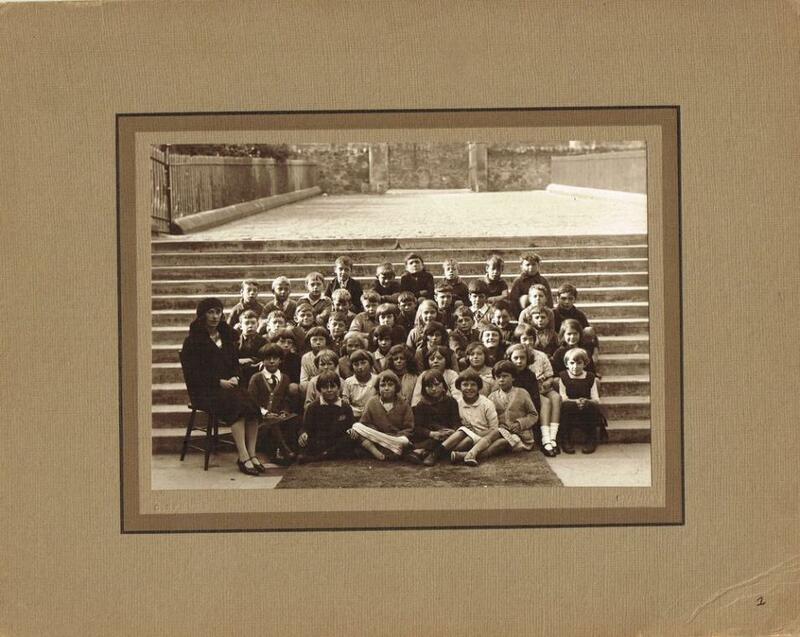 Middle: Mike Obrzud, ---- -----, Billy Turnbull, George Phillips, Liz Field, ---- Blair, Jackie Curran, Sheila Henderson, Isobel Knox and ---- -----. 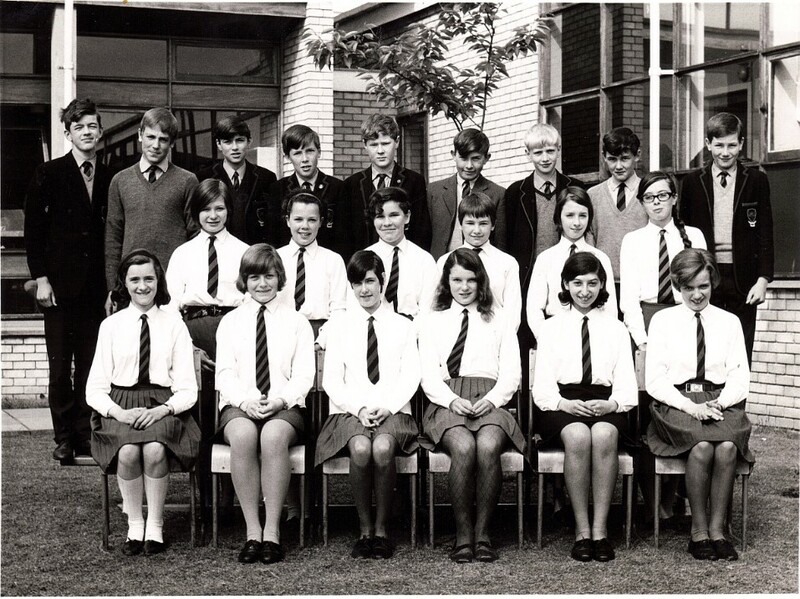 Bottom: Alison Punton, ---- Mawald, Irene Pirie, Kath Watson, Ann Ritchie, A. Donnaghy, Rosemary Crow, Lynn Horsburgh, Ann Herkes, ---- Glass, Elaine Bradd, Linda Franks and Noreen Gardner. Top: Alex McIntosh, Gerald Barson, Orlando Sammels, Peter Nicol, Robert Darling, Jackie Smith, Robin Dixon, Robert Brunton, John Hutchinson, Jim Easingwood, Alan Johnstone and John Willens. 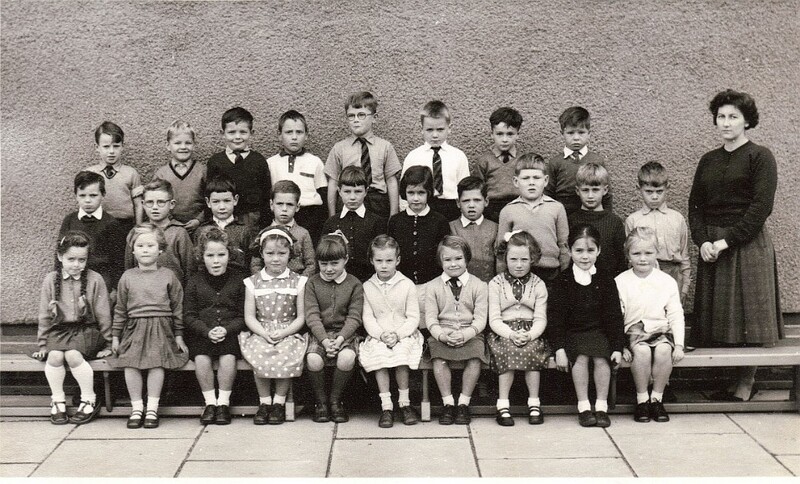 Middle: ---- Emerson, Jaci Waite, Mary Alston, Ruth Blair, Billy Wilson, Graham Storer, Jimmy Brunton, Christine McCale, Sheila McNamara, Angela Herring and Grace Paylor. 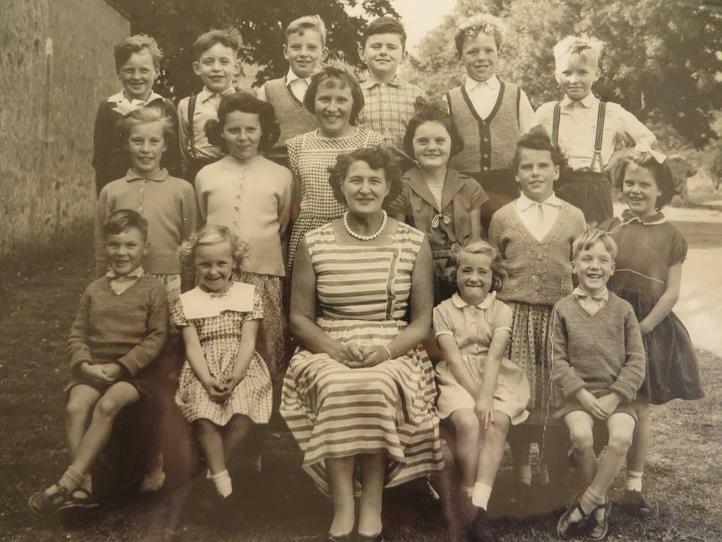 Bottom: ---- -----, Davina Lorrimer, Marion Kerr, Monica Carver, Christine Gaffney, Irene Hannan, Marlene Hampshire, Avril Johnson, Virginia Simpson, Lillian Bonnar, Moira Sayer and Maureen Lorrimer. Top: Ronnie Thomas, Dougie Sinclair, Kenny Miller and ---- McCue/McEwan. Middle: Davie Knox, Ford Ferguson, Ronnie Stoddart, Tom Young, Davie McKechnie, Tommy Sandilands and ---- -----. 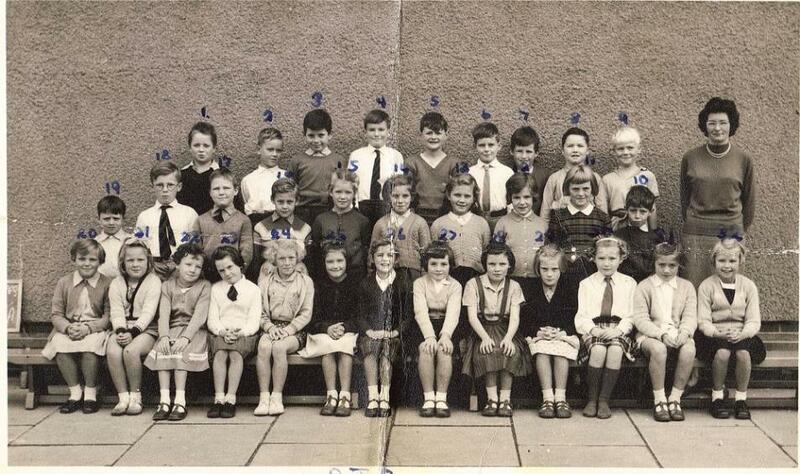 Bottom: Marna McClennan, Kathy Bain, Pat Smith, ---- -----, Fishy Wilson, Carol Young, Olive Brodie and Penny Murdie. Top: James Tait, ---- McDonald, Kenneth Ness, Geoffrey Hitchcock, Alistair Kerr, Dougie McMinn, David Pettigrew and Howard Anderson. 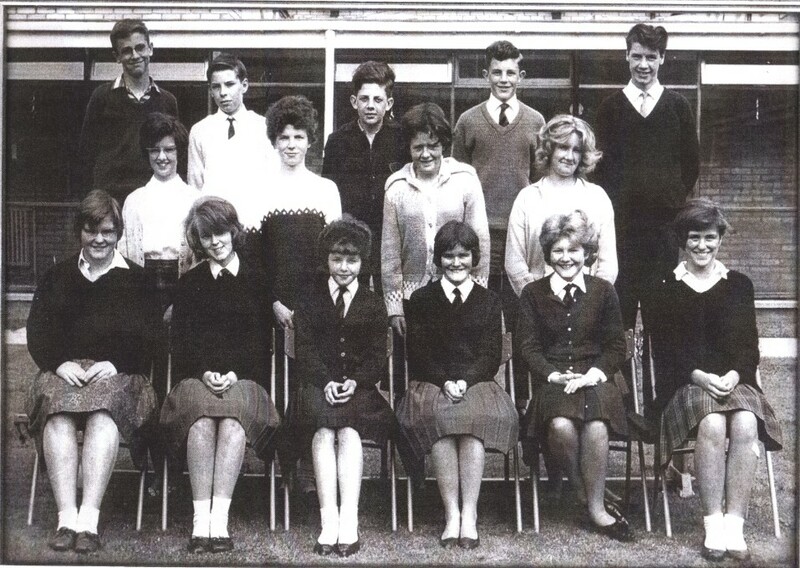 Middle: Bobby Herring, James Field, Maureen Foggo, Beverley Sayer, Myra West, Alice Glass, Ann Black, Kenny O'Donnell and Jimmy Bain. 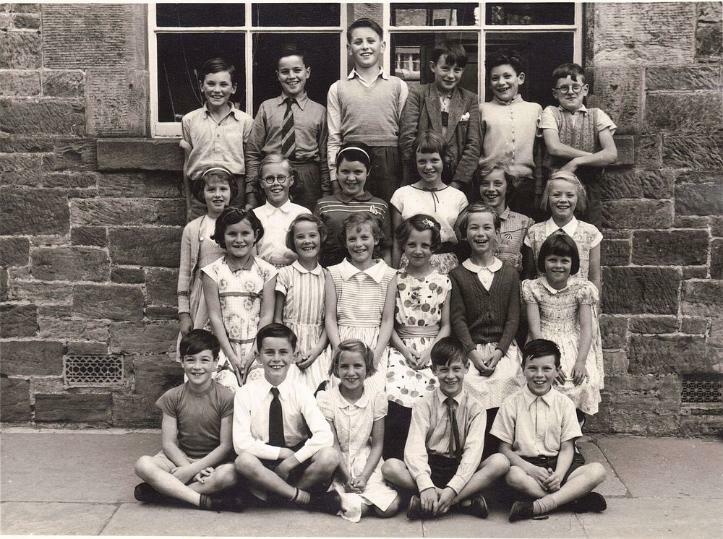 Bottom: Nancy Chapman, Violet Hannan, Anne Halliday, Lorna McCandlish, Helen Findlay, ingrid Peitch, June Hogg and Margaret Paterson. Middle: Alastair Bulloch, Robert Darling, Tommy Craig and Rob Bisset. 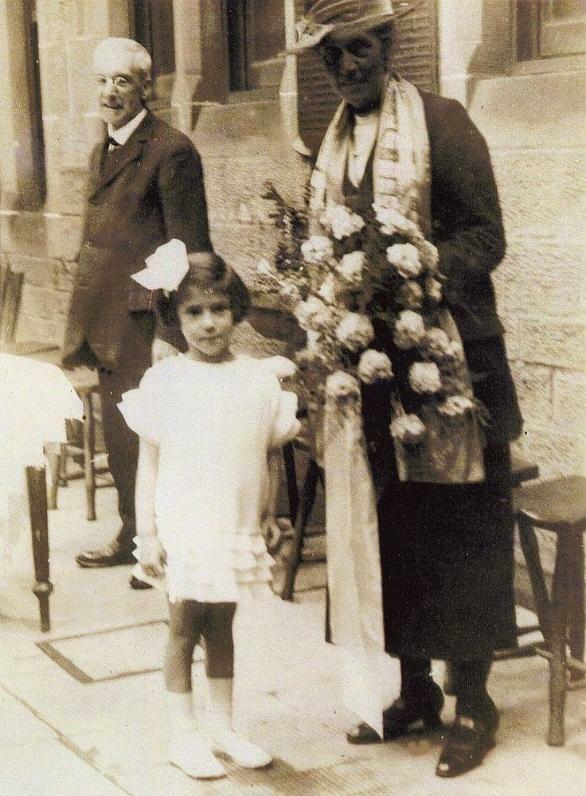 Bottom: Mary Smith, Elizabeth Hitchcock, Linda Sinclair and Joan Scambler. Top: Robert Brunton, Billy Turnbull, Jimmy Allan, Keith McCandlish, Peter Nicol, Michael Fallon. Upper Middle: John Hutchison, John Willens, Robin Aitken, Norman McPhie, Billy Wilson, Kenneth Dickson. 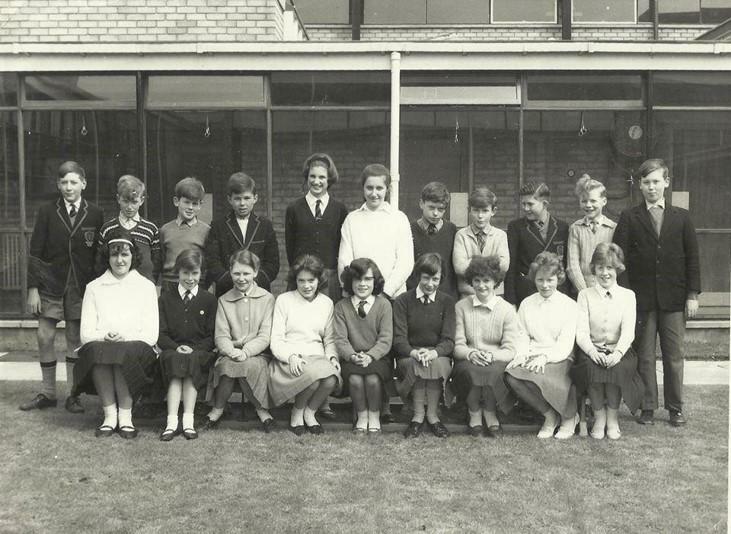 Middle: Angela Herring, Maureen Lorimer, Marlene Hampshire, Sheila Macnamara, Elizabeth Fields, Davina Lorimer, Jaci Waite. 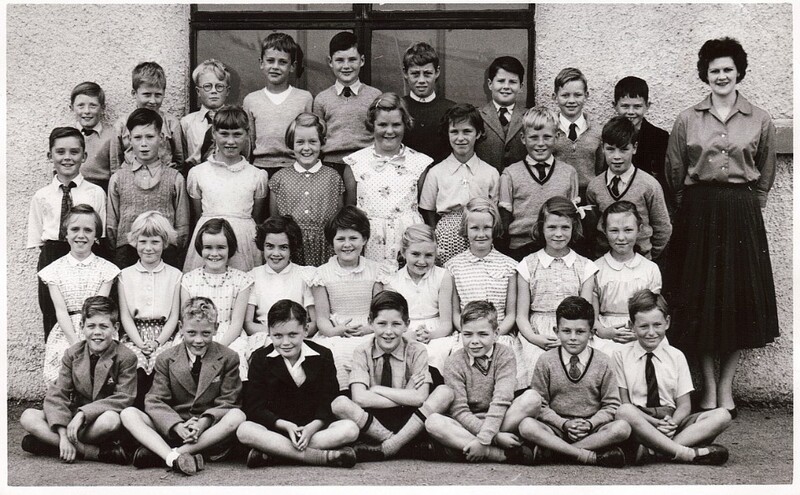 Lower Middle: Sheila Henderson, Kathleen Watson, Anne Herkes, Irene Hannan, Lyn Horsburgh, Noreen Gardner, Jackie Curran. Bottom: Michael Obrzud, Richard Goring, David Barbour, Allan Johnstone, Jim Easingwood. Top: David Henderson, Keith Davie, David Scott, Colin Glass, Richard McMullen, Gordon Ferguson. 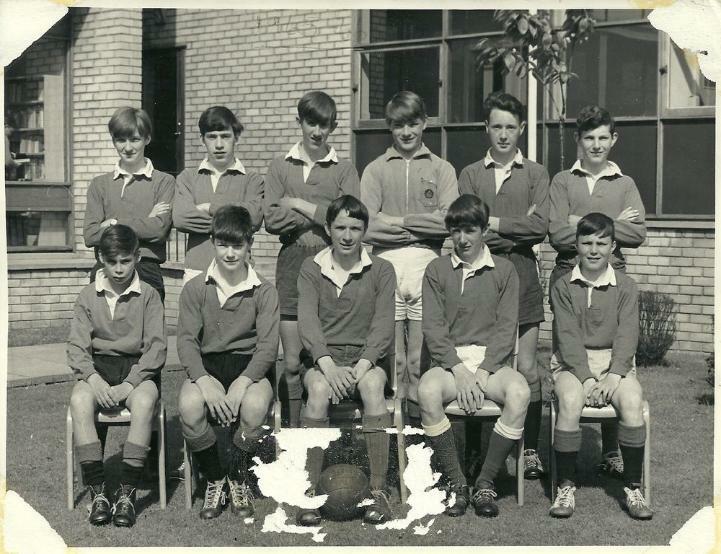 Upper Middle: Simon Weeks, David Brunton, Fraser Dann, Iain Main, Anthony Macauley, Johnny McCandlish, Donald Glass. 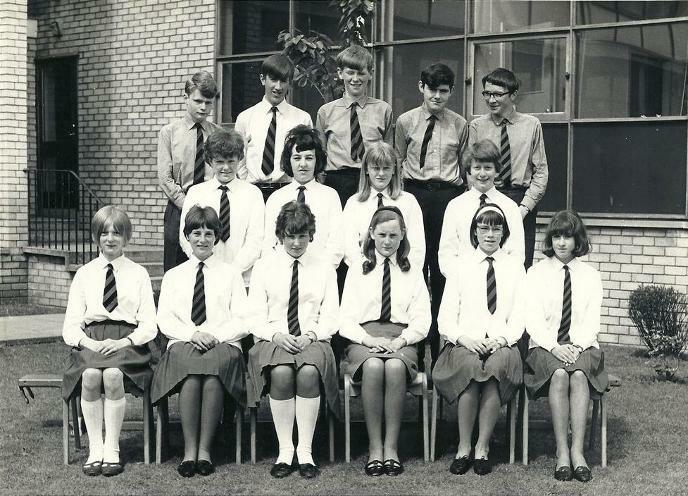 Middle: Christopher Briggs, Christine Tait, Patricia Brunton, Carol Gillan, Anne Low, Lorena Jannetta, Graeme Waite. 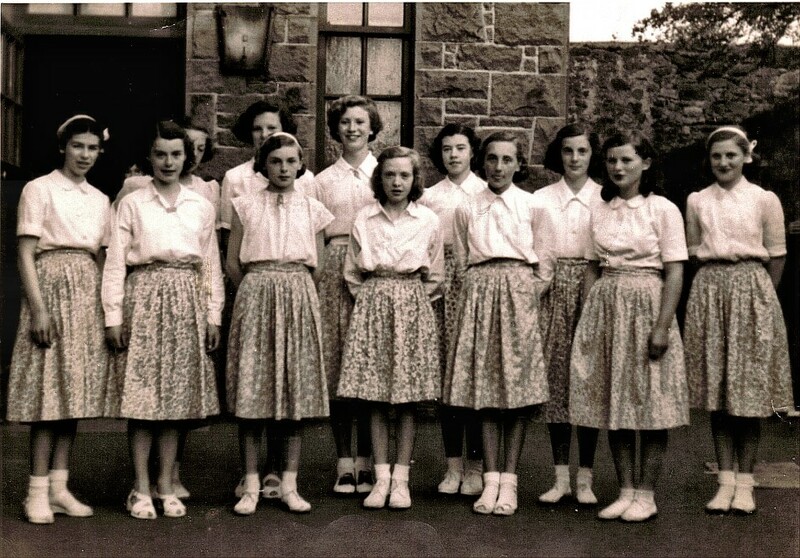 Lower Middle: Caroline McIntyre, Julie Herring, Susan Christopher, Gail Mabberley, Seona Mason, Margaret Goring, Janice Flavel, Christina Anderson. 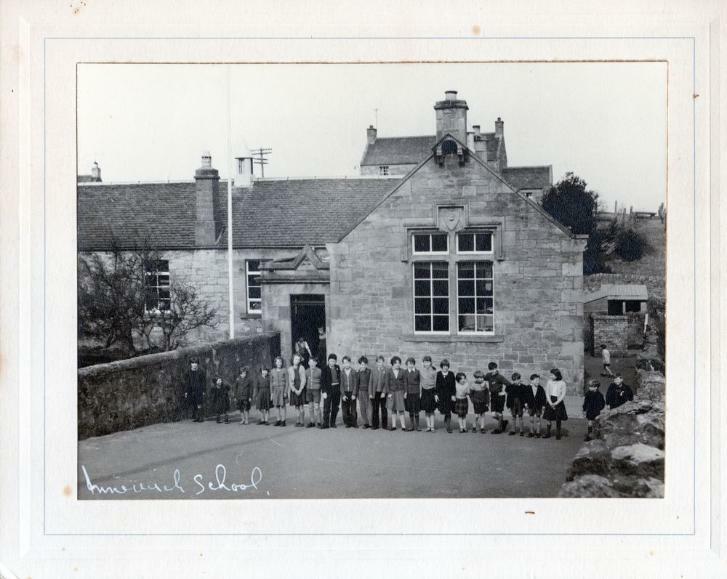 Bottom: Ronald Smith, Brian Herriot, Angus Roxburgh, Robert Gullan. 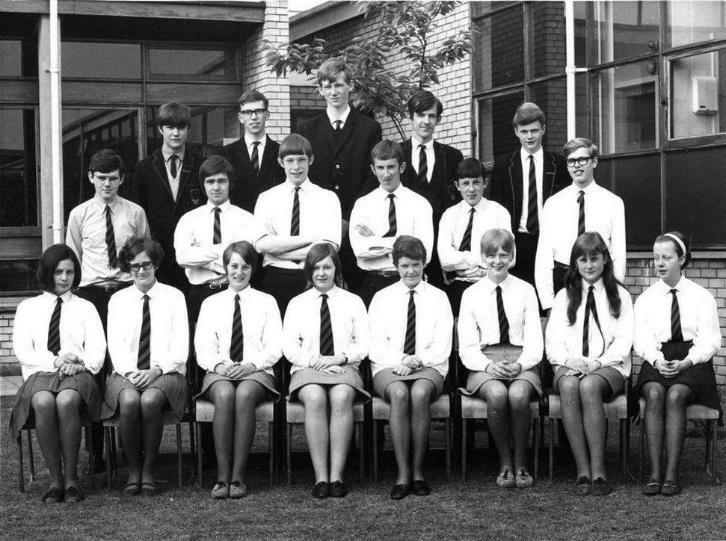 Top: Rob Bisset, Dave Woolf, Anne Low, Jane Innes, Ann Graham, Roland Chomiak and Donald Budge. 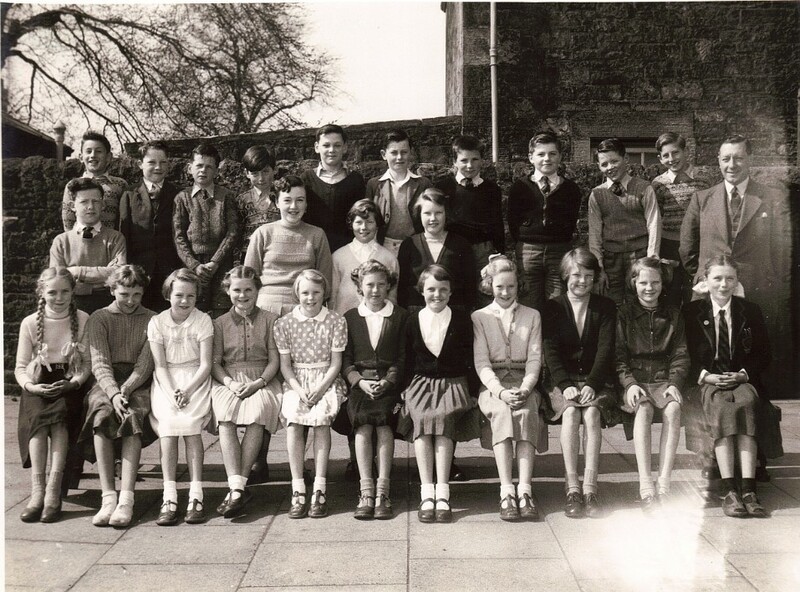 Upper Middle: Ann Smith, Joan Scambler, Eileen Johnstone, Barbara Gourdie, Evelyn Brodie, Catherine Bisset, Anne James and Ewan MacPherson. Middle: Linda Sinclair, Kathleen Crow, Kate Alston, Agnes Ashton, Isobel Smith, Sheila McKenzie and Marilyn Hunter. Bottom: Albert Liddle, Kevin Curran, Tommy Craig, Gordon Berrie, Ewen Watson, Graeme Thorburn, Colin Campbell and Alistair Erskine. Top: Elizabeth Tear, Ann Graham, Catherine Bisset and Evelyn Brodie. 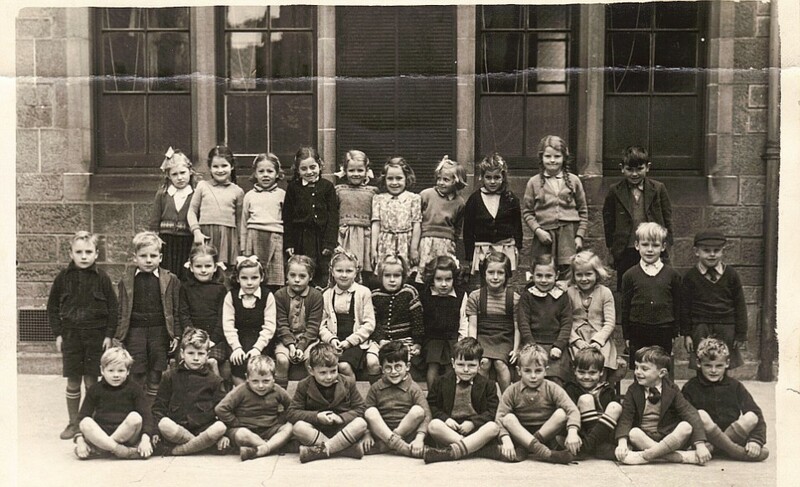 Bottom: Joan Scambler, Jane Innes and Sheila McKenzie. 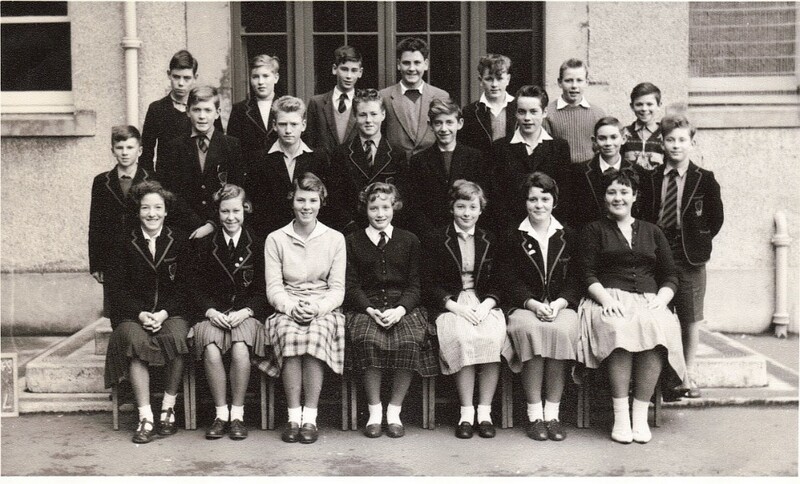 Top: Leslie Hooper, Angus Campbell, Ian Dickson, Sandra Bisset, Shirley Tognieri, Emma Corrieri, Graeme Douglas and Kathleen Lough. Bottom: Linda Sinclair, Caroline Pott, Mrs Nobbs, Donald Budge and Rob Bisset. 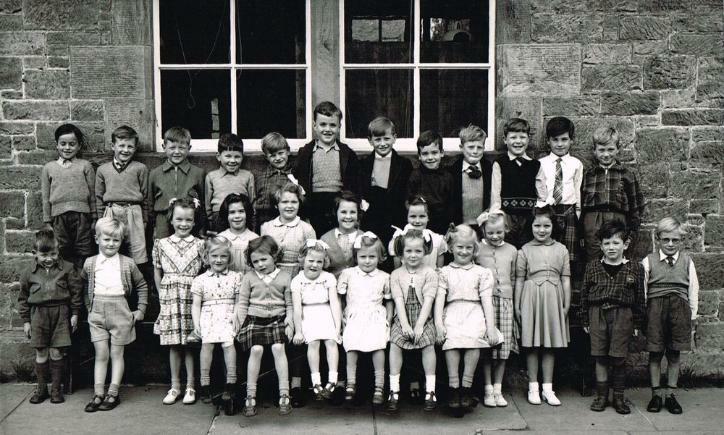 Top: John Shaw, Robert Darling, Richard Melville, Jack Beattie, Barbara Muir, Susan Calton, David Melrose McLements, David Christopher, Ronnie Marr, Billy Kerr, Michael Blair. 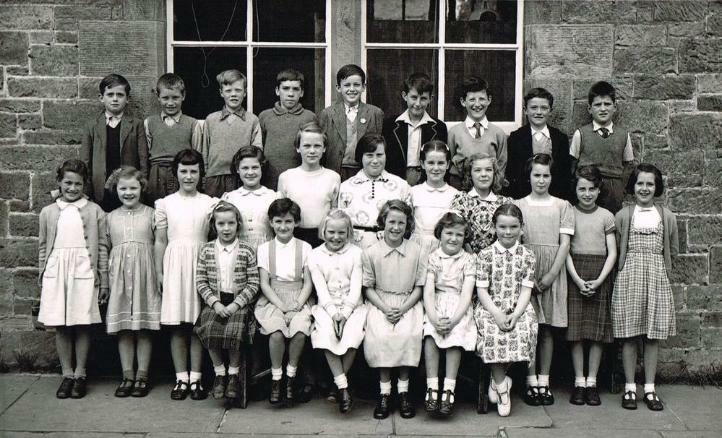 Bottom: Jean Wragg, Anne White, Irene Smith, Janet Clarke, Edna Ballantyne, Margaret Shaw, Isabel Leach, Katie Lough, Margaret Young. Top: Colin Wightman, Eddie Todd, Tommy Foggo, Robert Cockburn, Gordon West, Derek Strang and David Thorburn. 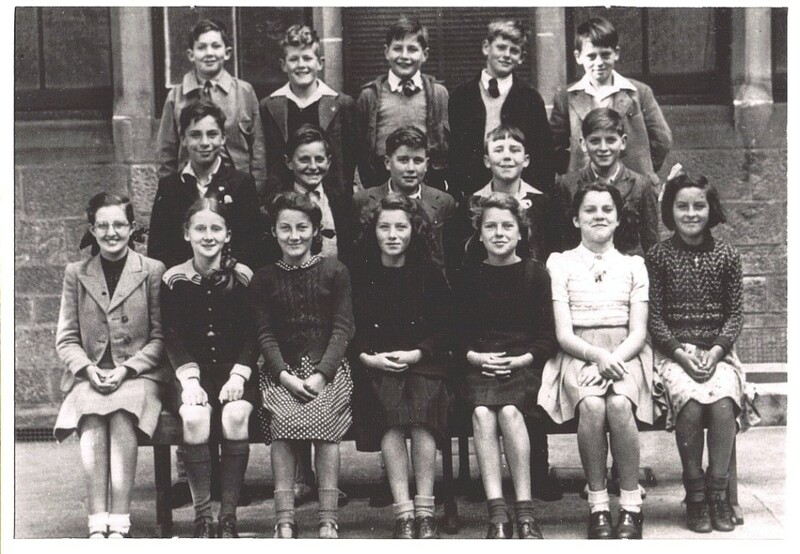 Upper Middle: Angela Lafferty, Kathleen Leslie, ---- McDonald, Cecelia Lugton, Mable Brodie, Cath Gilmour, Margaret Cowe, Ann Chapman, Georgina Dodds and Margaret Kerr. 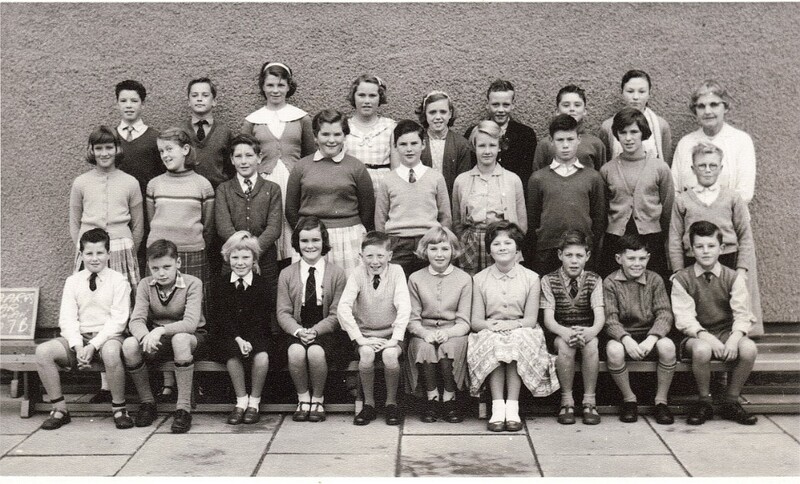 Middle: ---- -----, Sheila Craig, Nancy Cameron, Pat Ansell, Gail Brown, Irene Shand/Anne Paxton, Margaret Chisholm, Jean Hamilton and Cath Young. Bottom: George Cowe, Jim Bell, Ian Thomson, Brian 'Panda' Anderson, Charlie Thomas and Jim Denholm. Top: Jimmy Bain, Kenneth Ness, Peter Spiewak, John Smith, James Field and David Barnet. 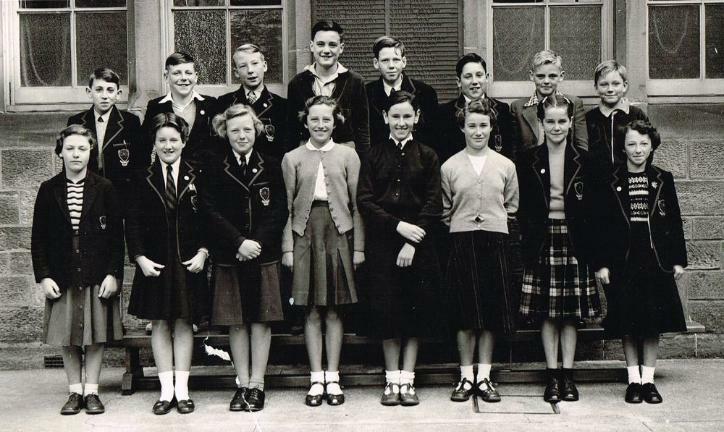 Middle: Yoyo McDonald, Lloyd Togneri, Elspeth McLennan, Brenda Murray, Ann Lorimer, Kathleen Hutchison, Peter Dawson and Billy Hunter. 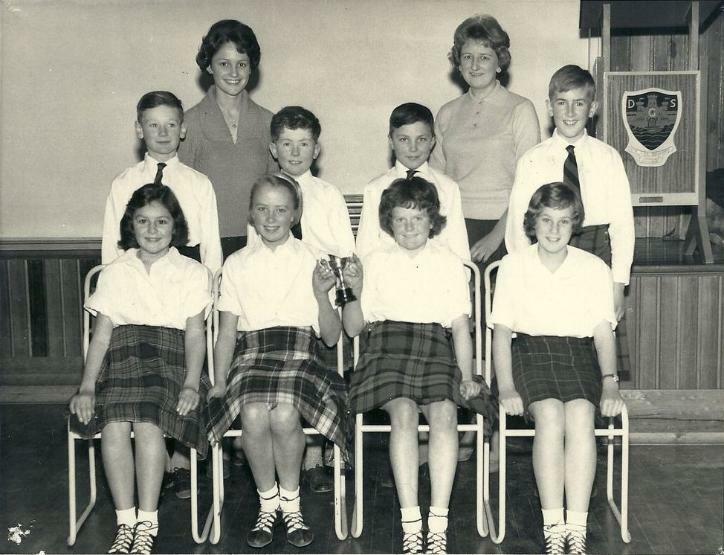 Bottom: Elizabeth Gardner, Margaret Johnston, Pat Smith, Marina Budge, Kathleen Williamson, Ann Gray and Isobel Hannan. Top: Billy Paterson. Alice Glass, Maureen Foggo, Beverley Sayer and Geoff Hitchcock. 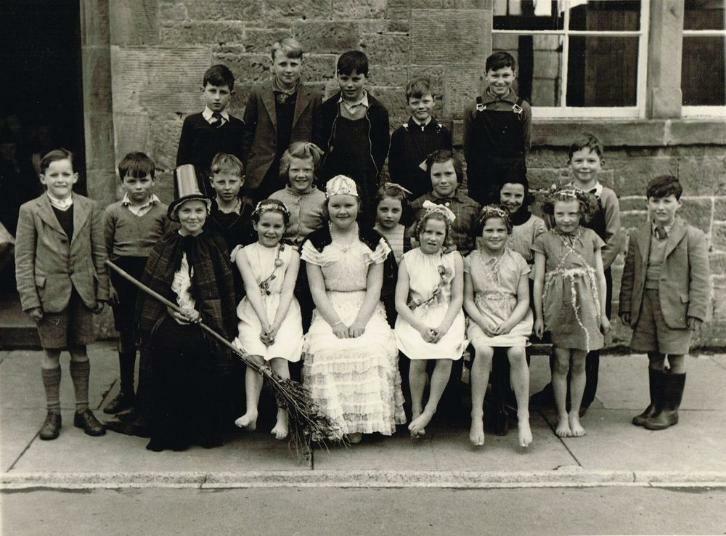 Middle: Elspeth Catleugh, Myra West, June Hogg, Christine Murray, Joan Gourdie, Margaret Darling, Jane Robertson, Morag Cooper and Caroline Pott. 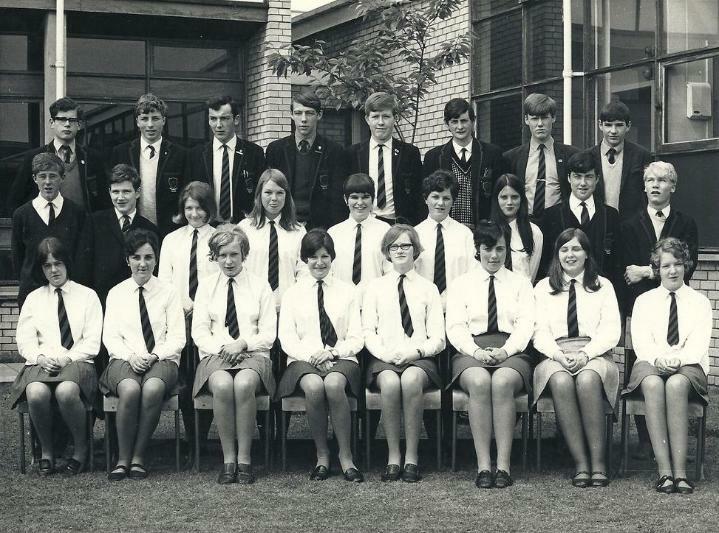 Bottom: Ingrid Pietsch, Ann Black, Sandra Jamieson, Lorna McCandlish, Heather Fell, Laura Corrieri, Greta Prince and Jane Newman. Top: Robin Johnstone, Rob Brown, David Blacklock, Richard James, John Fallon and Roger James. Middle: Jimmy Bain, James Cribbas, Alastair Lorimer, Ian Jenkinson and Stewart Carruthers. Bottom: Howard Anderson, Graeme Paterson, Jimmy Gaffney, Lloyd Togneri and Billy Paterson. Top: Angela Herring, Jaci Waite, Moira Young and Christine McKail. Bottom: Maureen Lorimer, Christine Gaffney, Moira Sayer, Annie Ritchie and Marlene Hampshire. Top: Caroline McIntyre, Carol Gillan, Lorena Jannetta, Sarah Hamilton. 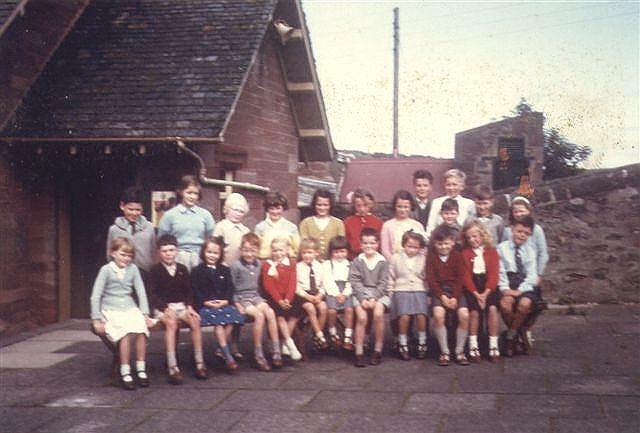 Bottom: Muriel Nicol, Heather Smail, Gail Mabberley, Lesley McCutcheon, Elaine Black. Top: Christopher Briggs, Gordon Ferguson, Colin Glass, Ronald Smith, David Brunton, David Henderson, Richard McMullen, Alastair Renton, Paul Hickman, Graeme Waite. 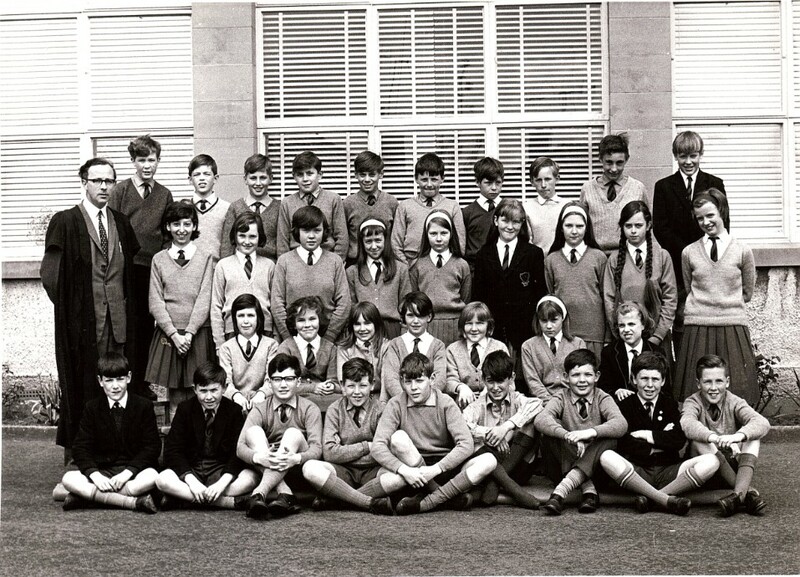 Upper Middle: Lorena Jannetta, Catherine Burke, Patricia Brunton, Christine Tait, Jennifer Hamilton, Carol Gillan, Sarah Hamilton, Caroline McIntyre, Anne Low. 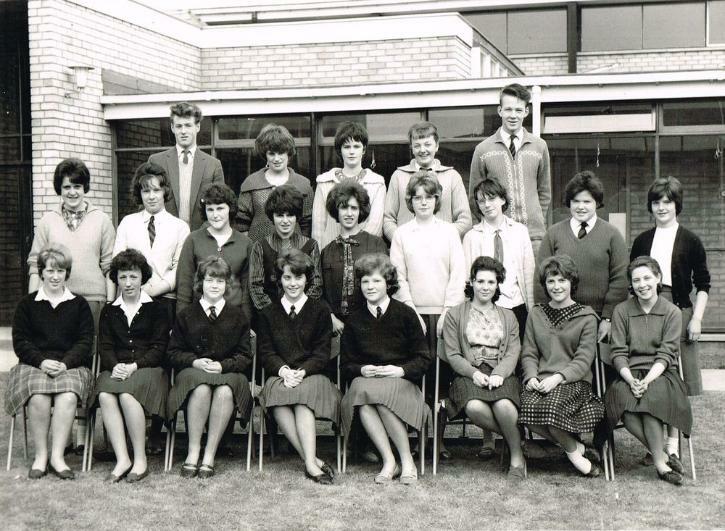 Lower Middle: Julie Herring, Christina Anderson, Gail Mabberley, Lesley McCutcheon, Sheena Turnbull, Linda Mitchell, Frances McGill. Bottom: Robert Gullan, Fraser Dann, Adrian Greco, Brian Herriot, Donald Glass, Keith Davie, David Scott, David Gourdie, Iain Main. Top: James Hornby, Lindsay Miller, Alistair Allan Derek Shrive, Andrew Ashton, William Shrive and Donald Young. 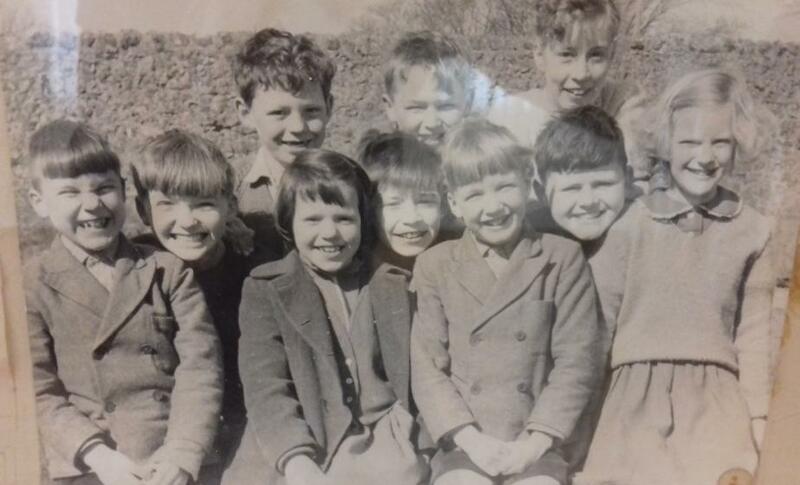 Middle: George Thomson, Raymond Brunton, Raymond Peters, Alan Scambler, Shirley Smith, Ian Callow, Robert Thomson, Alistair Laing and Brian Torrance. 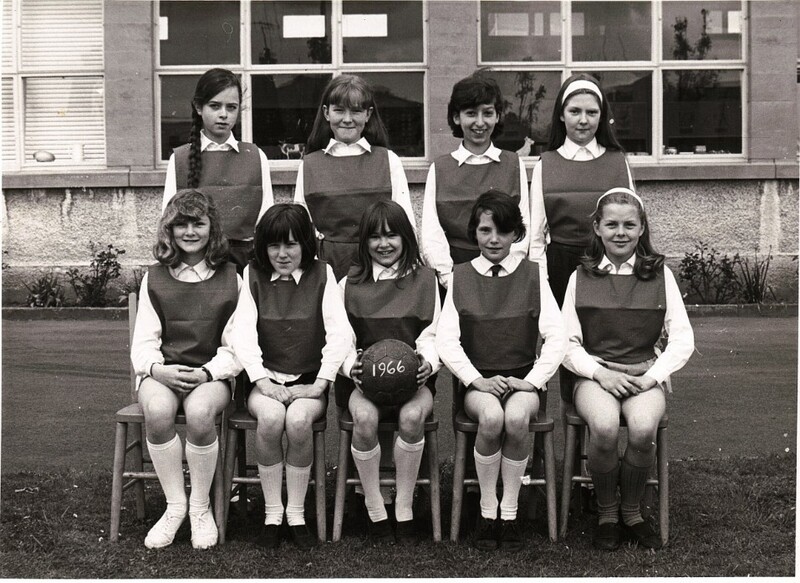 Bottom: Ann Cunningham, Helen Brown, Anona Selby, Alison Patterson, Isobel Wardrobe, Ann Wilson and Jennifer Smith. Top: Billy Turnbull, Norman McPhee, Graham Mapes, Robin Aitken and Brian Cooper. 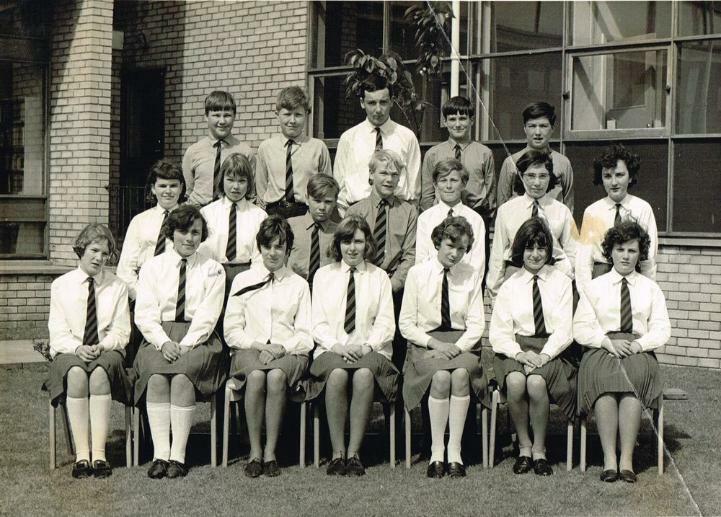 Middle: Lesley MacPherson, Noreen Gardner, Richard Goring, David Barbour, Peter Nicol, Kathleen Bryce and Davina Lorimer. 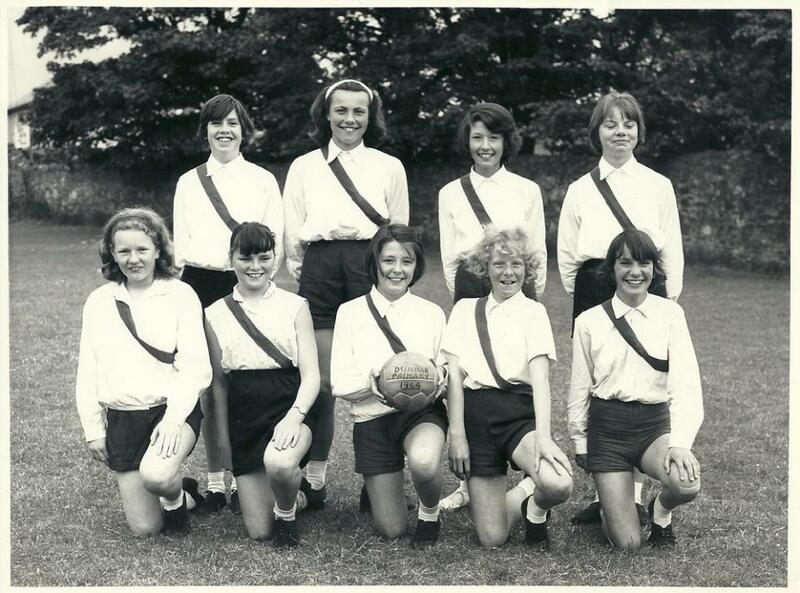 Bottom: Liz Field, Jaci Waite, Ann Kennedy, Joyce Fairbairn, Ruth Wardrop, Sheila Henderson and Jackie Curran. Top: Alan Dickson, Rob Bisset, Ewan MacPherson, Hamish Tulloch and Colin Campbell. Middle: Linda Sinclair, Rena Smith, Elizabeth Davidson and Helen Hogg. Bottom: Vera Sembay, Joan Scambler, Patricia Henson, Stella Macarthur, Evelyn Wilkinson and Lynda Butterworth. Top: Ian Christison, Kit Newman, Rob Bisset, Willie Tevendale, Brian Houliston and Kevin Curran. Bottom: Micky Bain, Alastair Erskine, Colin Campbell, Lawrie Mullen and Tommy Craig. Top: Grahame Douglas, Willie Innes, Tom Bruce, Jock Cowan and Donald Budge. Middle: Jim Herring, Rob Bisset, Pete Ogden, Ian McKane, Albert Liddle, Kit Newman and John Smith. Bottom: Dave Curran, Lawrie Mullen, Ali Lorimer, Rob Brown and Campbell Berrie. Top: Gordon Ferguson, Graeme Waite, Peter Hannah, Iain Main, Robert Craik, Fraser Dann, Ronald Sembay, William Smail, Ian Harrower. 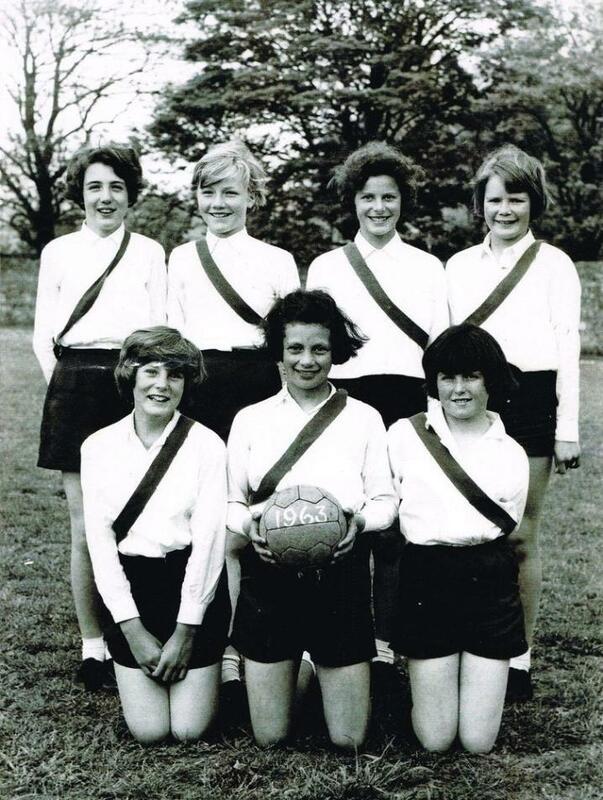 Middle: Elaine Fiskin, Margaret Goring, Christina Anderson, Gail Mabberley, Seona Mason, Caroline McIntyre. Bottom: Anne Barclay, Catherine Travers, Julie Herring, Susan Lynas, Lorena Jannetta, Anne Low. Top: Alastair Erskine, Keith Baines, Ewan MacPherson, Grahame Thorburn and Alan Dickson. Middle: Hamish Tulloch, Roland Chomiak, Richard Smeed, Rob Bisset, Kenneth Johnstone and Richard McGill. 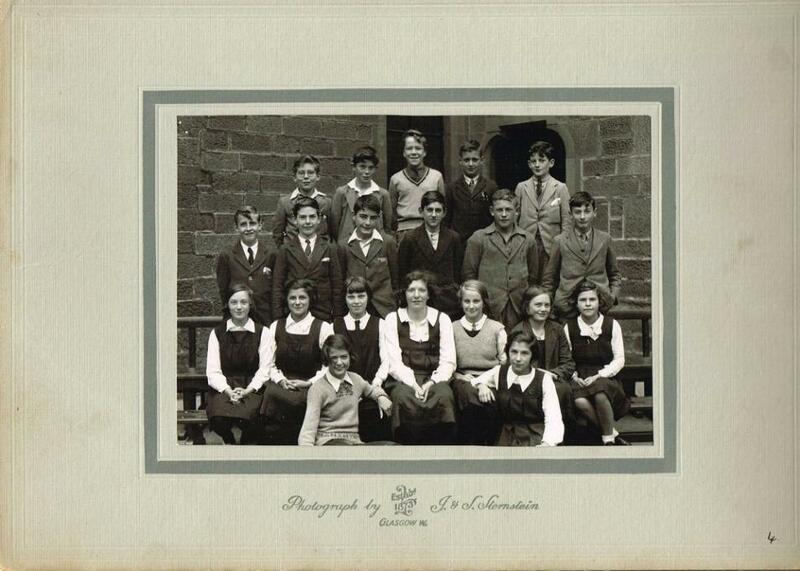 Bottom: Jane Innes, Anne James, Joan Scambler, Isobel Smith, Linda Sinclair, Vera Sembay, Stella McArthur and Helen Hogg. Top: Billy Turnbull, Billy Wilson, Norman McPhee, Richard Smeed, Ewan MacPherson, John Hutchison, Graham Mapes, Ian Christison and Colin Campbell. Bottom: Willie Innes, Kevin Curran, Peter Ogden, Rob Bisset (Capt. ), Tommy Bruce and Tom Tait. The above might be a 3c2 class. Top: Kenneth Dickson, John Hutchison, Graham Mapes, Tom Tait, Norman McPhee, Mike Fallon, Roddy Vardy and Alan Johnstone. 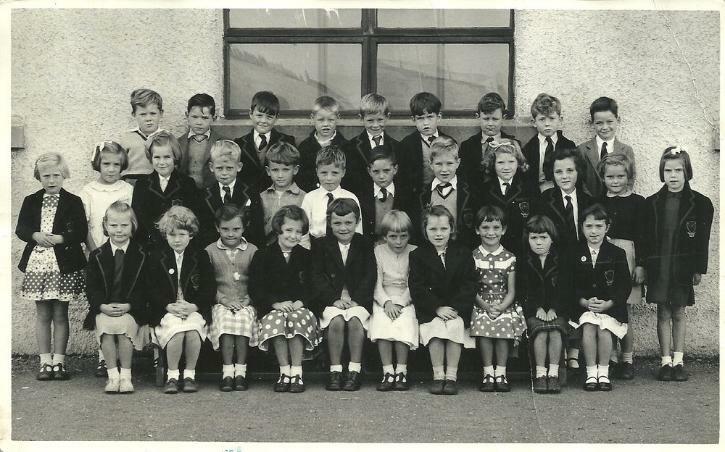 Middle: Gordon Berrie, William Torrance, Rena Murray, Noreen Gardner, Lesley MacPherson, Jackie Curran, Fiona Lynas, Brian Cooper and David Barbour. 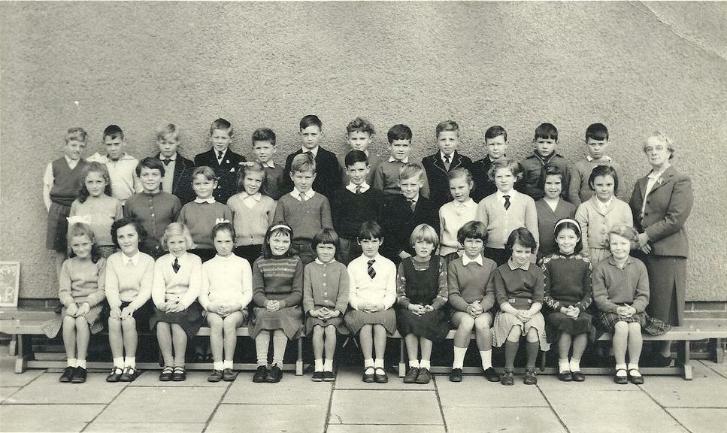 Bottom: Jennifer Johnstone, Davina Lorimer, Ruth Wardrop, Sheila Henderson, Anne Rarity, Jaci Waite, Joyce Fairbairn and Liz Field. Top: Paul Hickman, Kevin Curran, Charlie Brown, Douglas Mullen, Rob Reid, Graham Mapes, Billy Wilson and Michael Obrzud. Bottom: Lex Horsburgh, Tom Tait, Willie Tevendale, Rob Bisset (Capt. 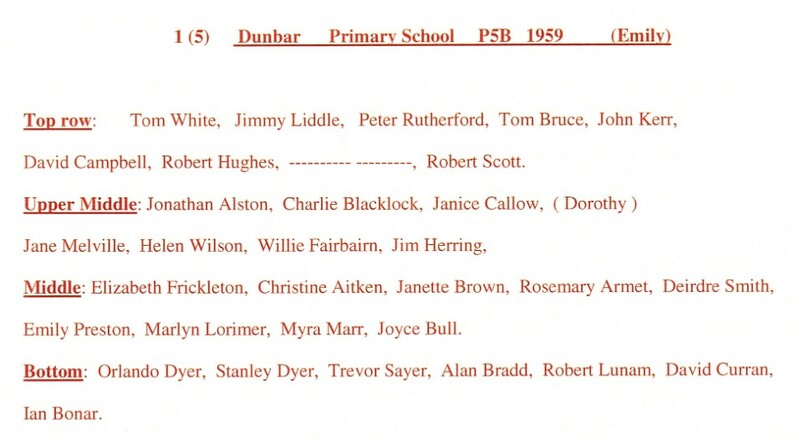 ), Norman McPhee, Richard Smeed and John Hutchinson.